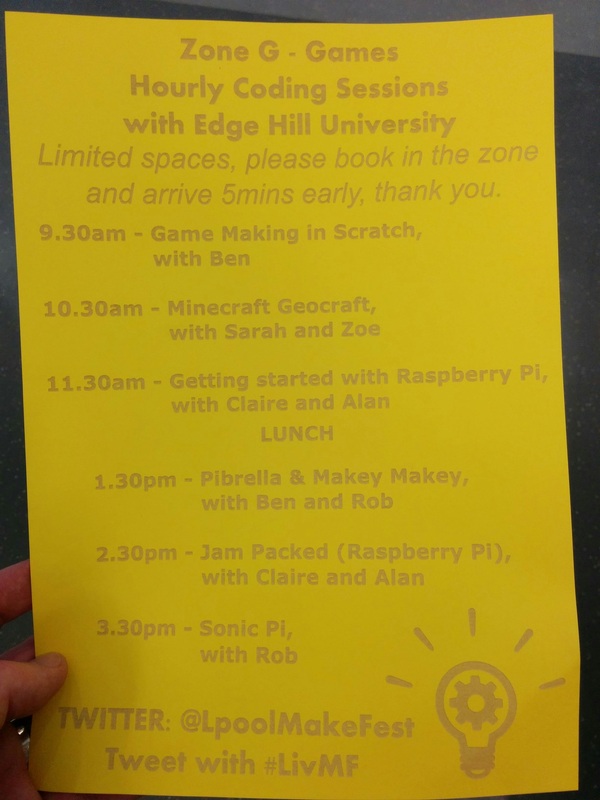 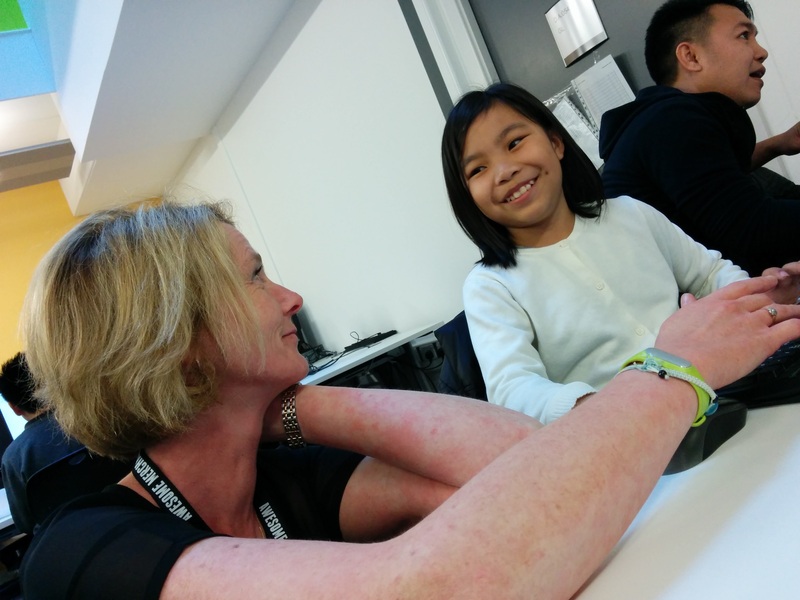 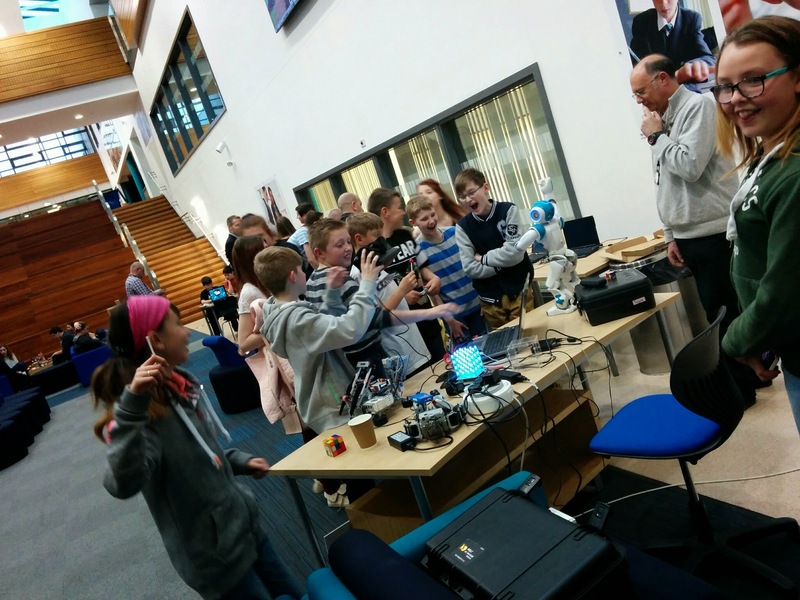 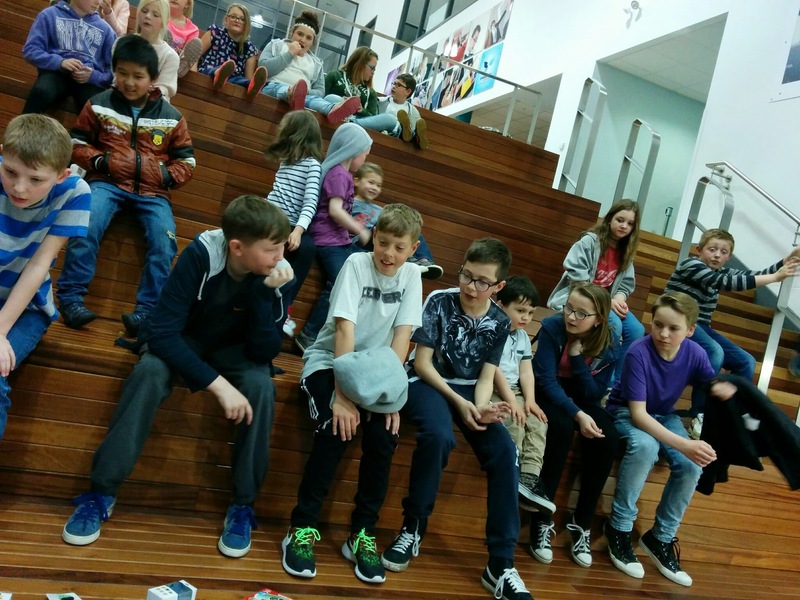 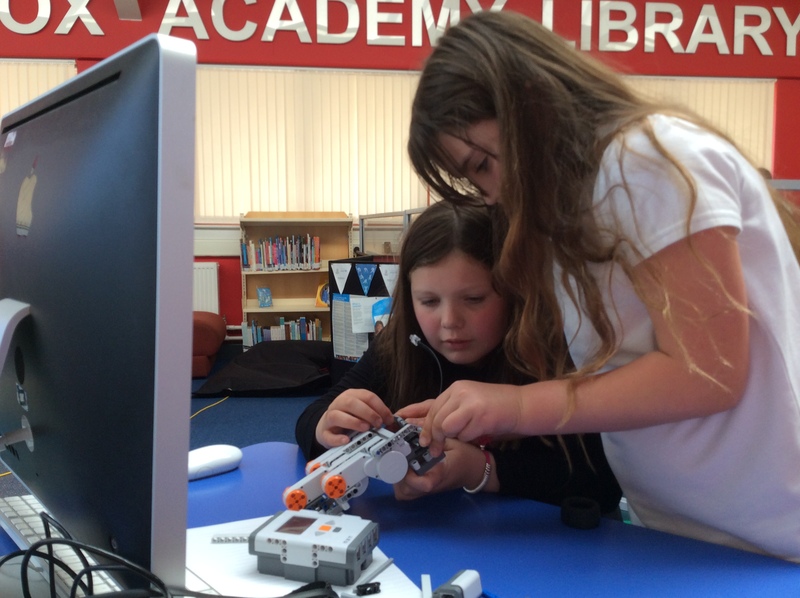 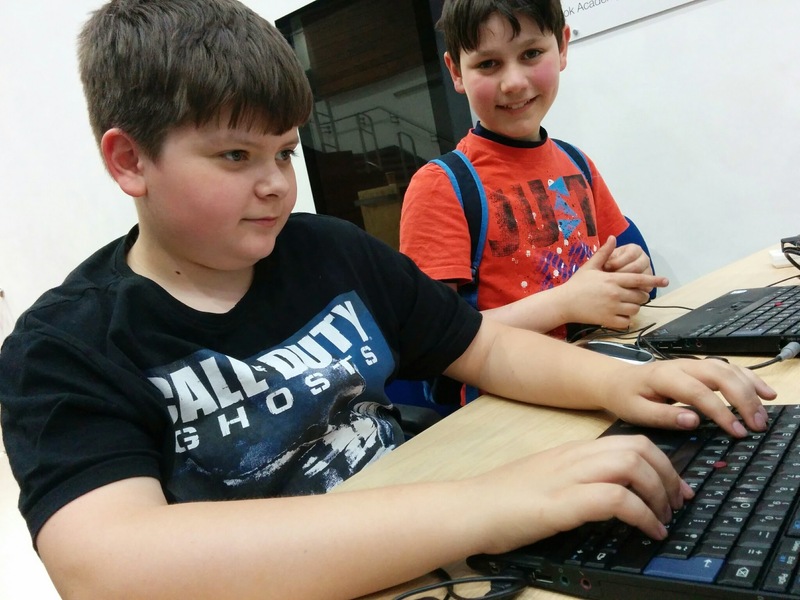 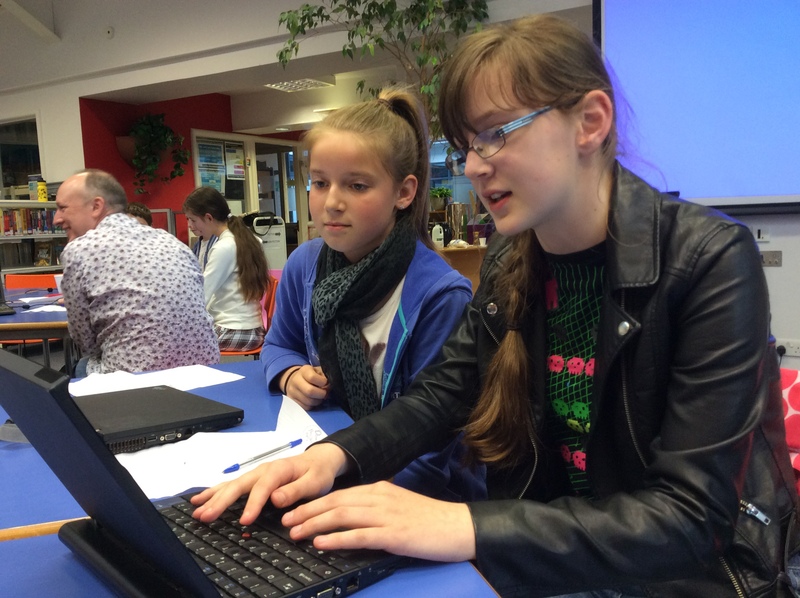 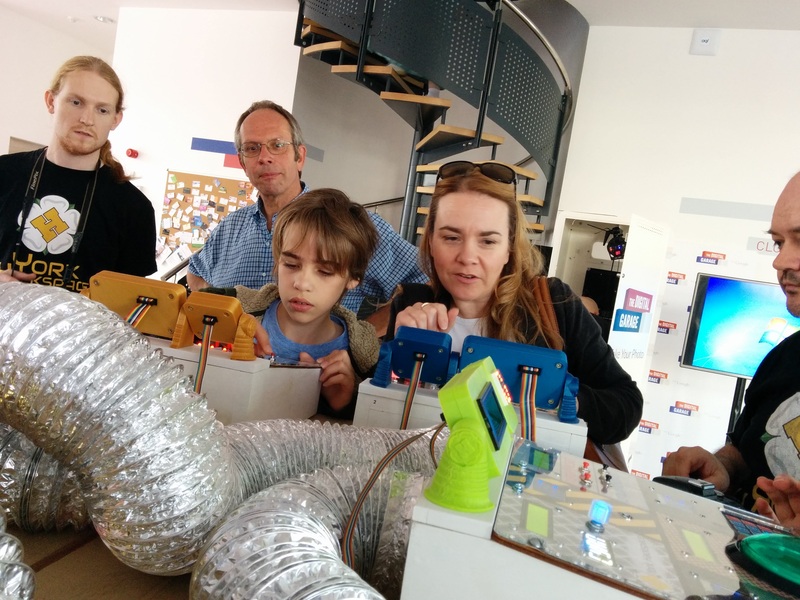 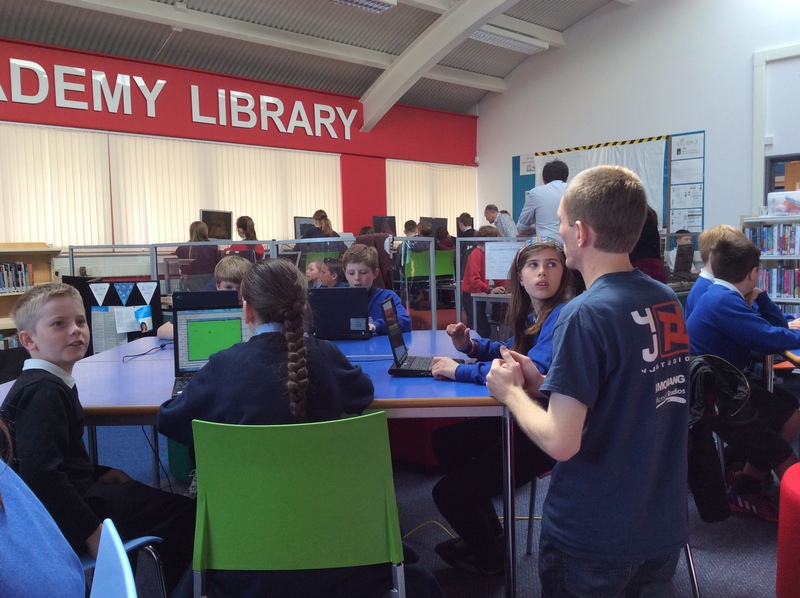 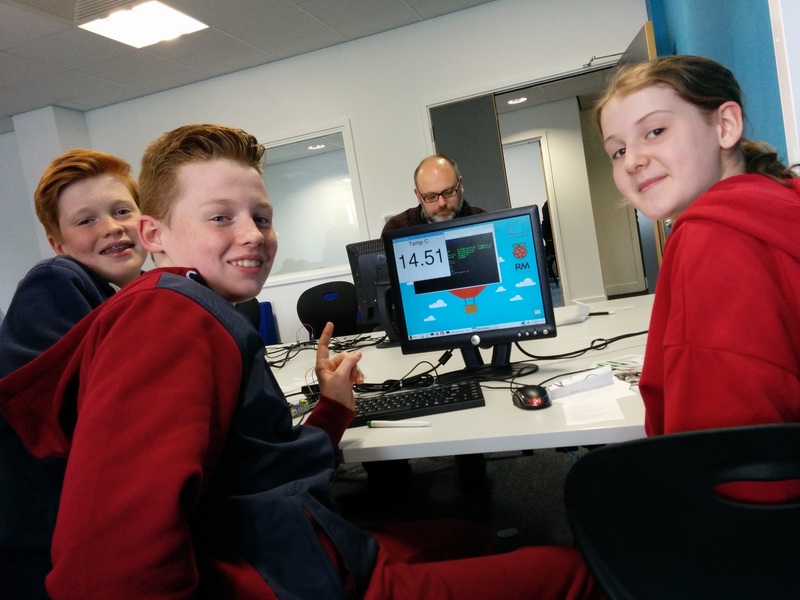 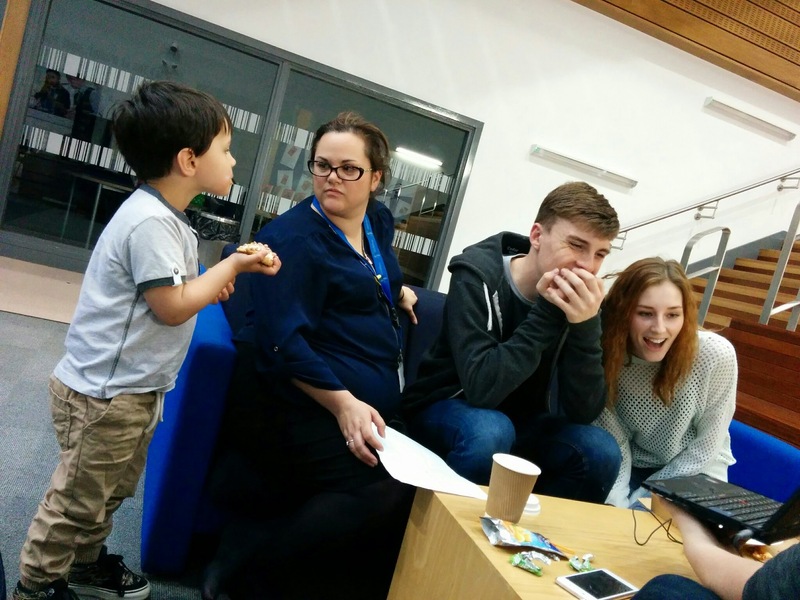 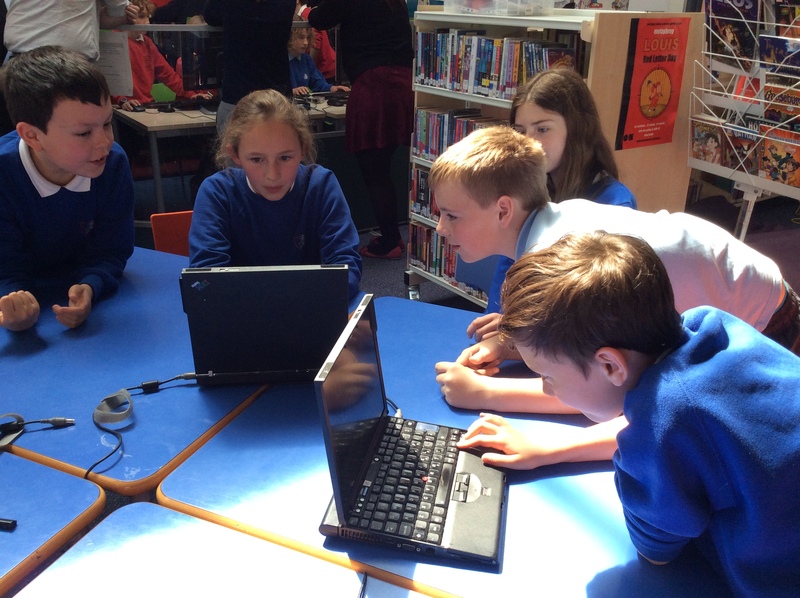 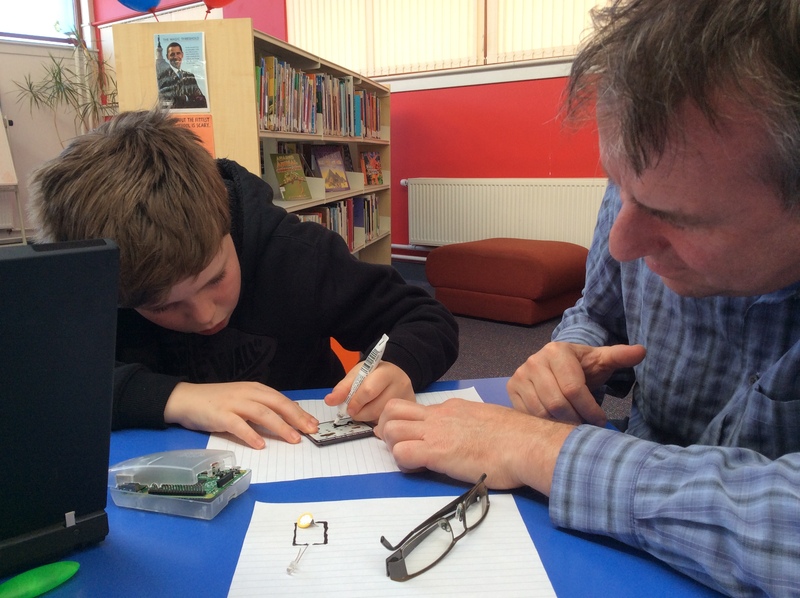 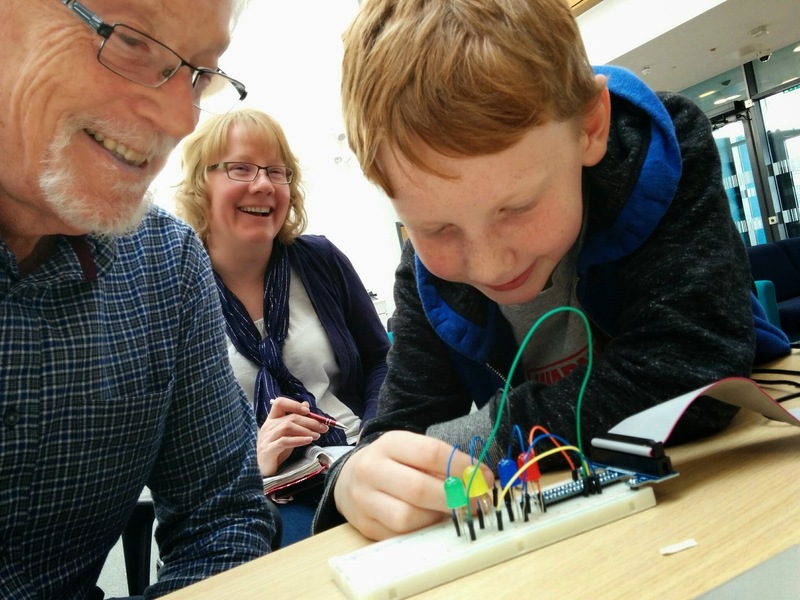 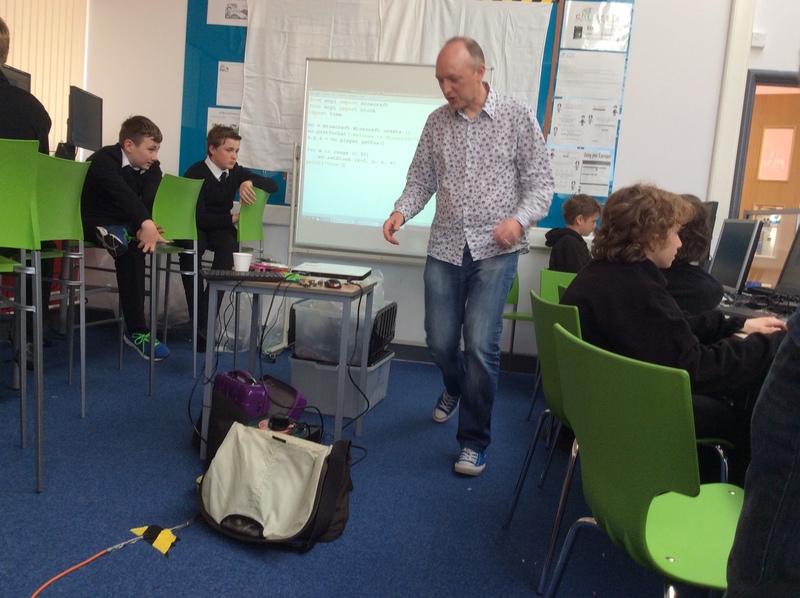 The Haddington community (and beyond) welcomed us with their unforgettable enthusiasm, drive and excitement to host and plan a Jam Packed computing festival. 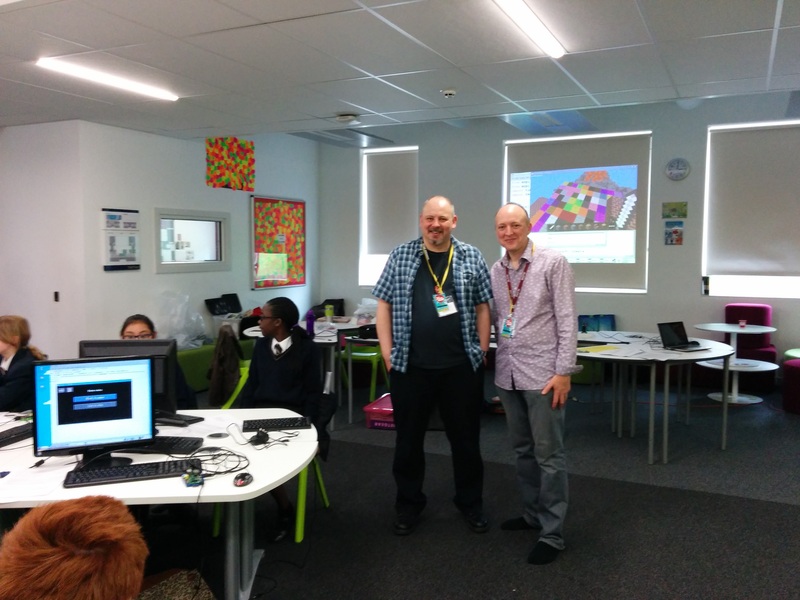 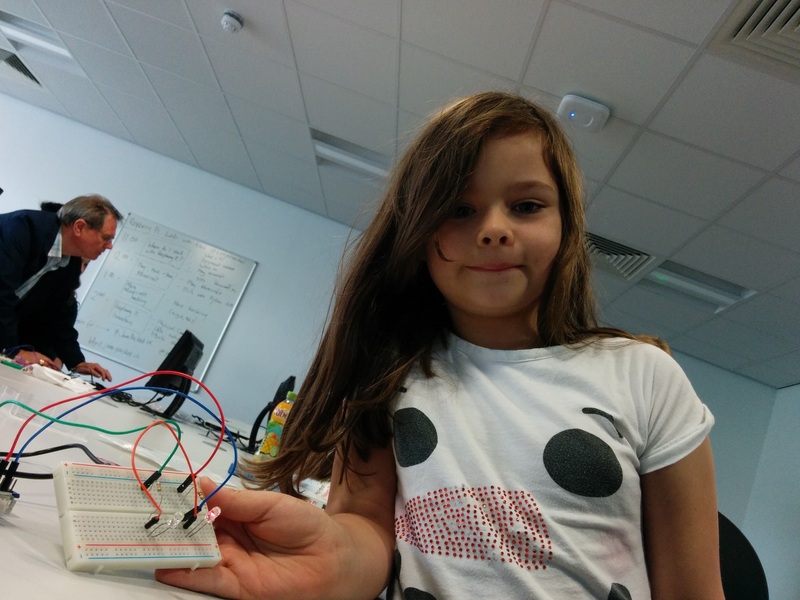 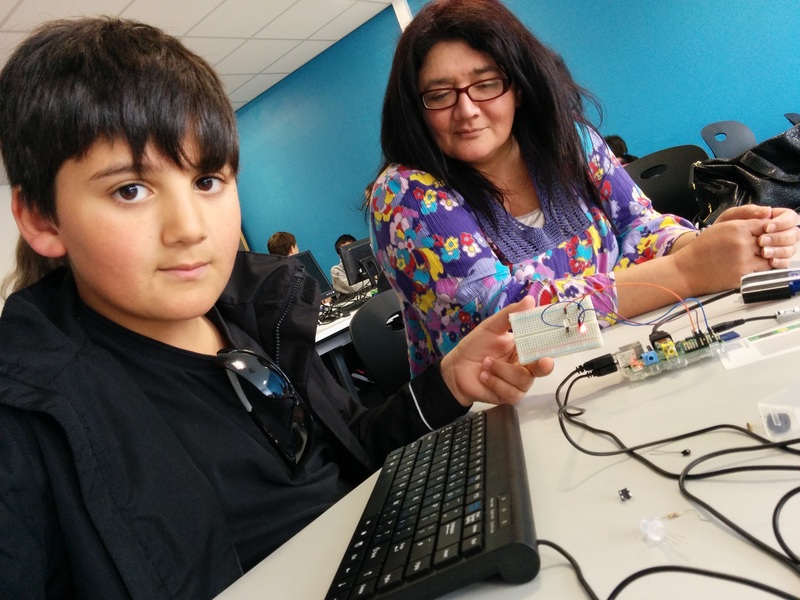 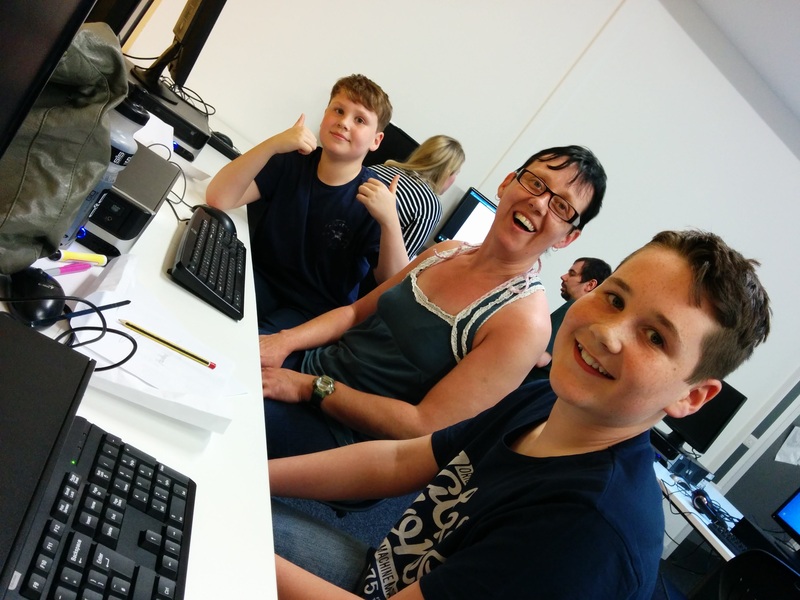 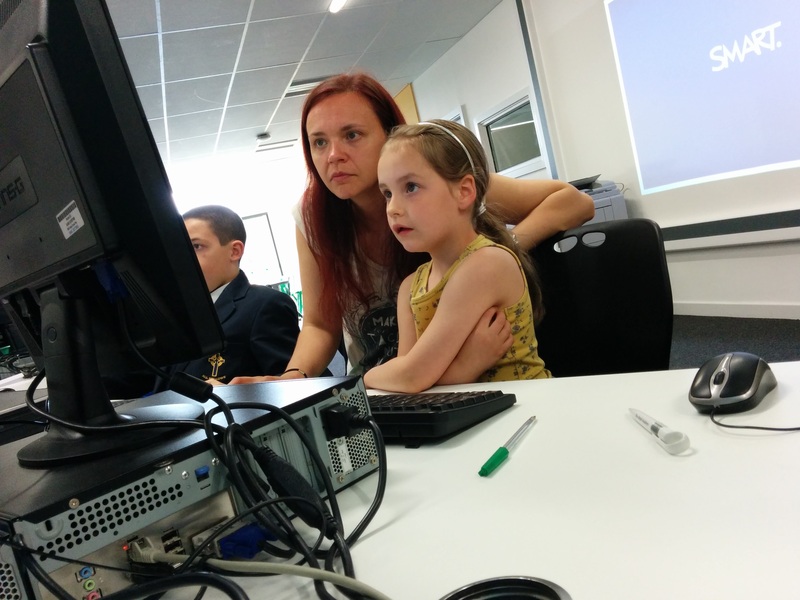 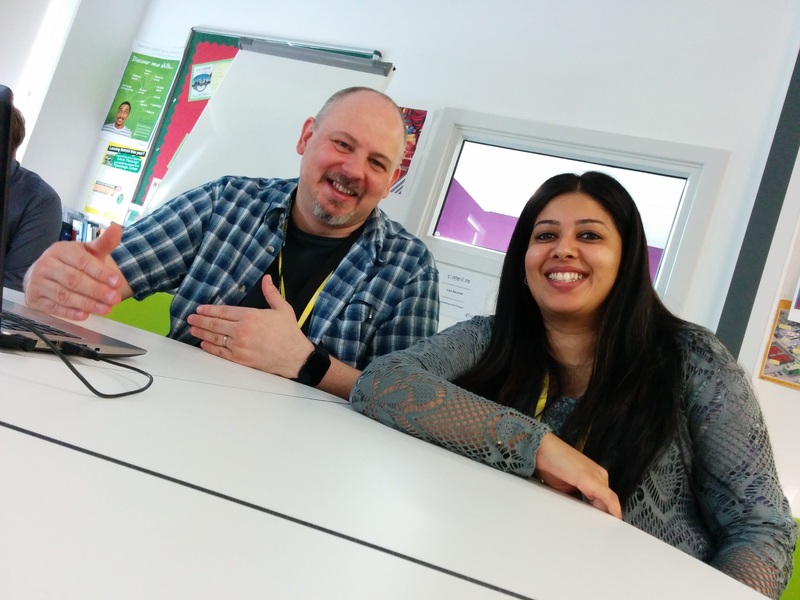 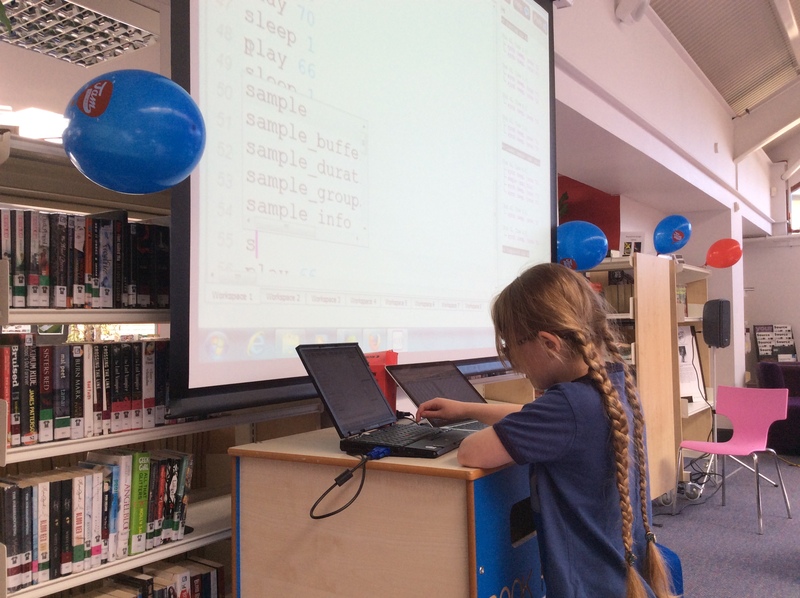 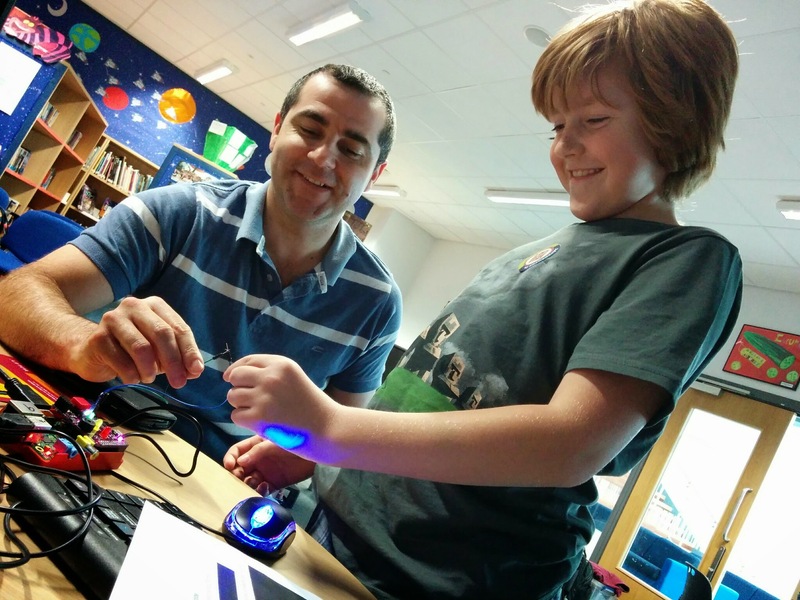 Teachers from surrounding secondary and primary schools, software developers, families, community friends, council representatives and members of the tech community came together at Knox Academy for this 2 day computing festival featuring 3 events. 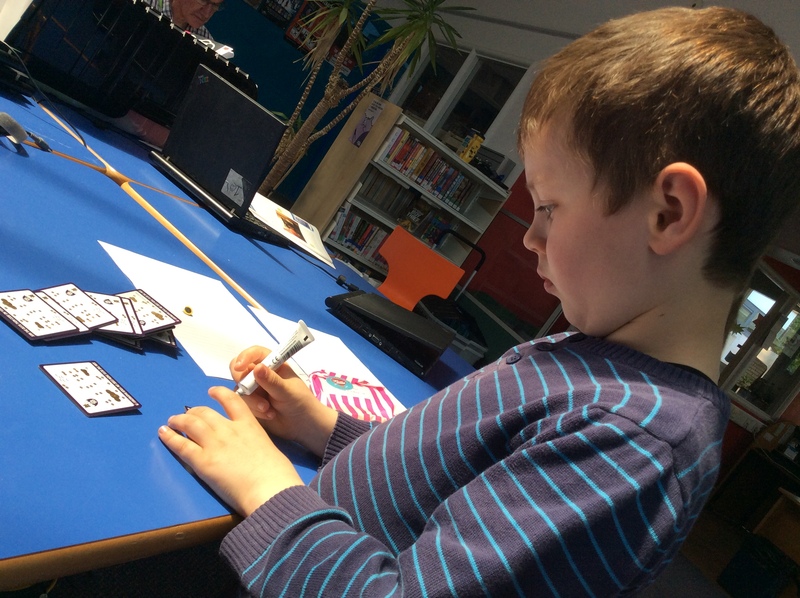 Andy McSwan and David Gilmour were instrumental in bringing everybody together so it seems fitting to use their thoughts, words, photographs and general artistic flair & style to write this guest post. 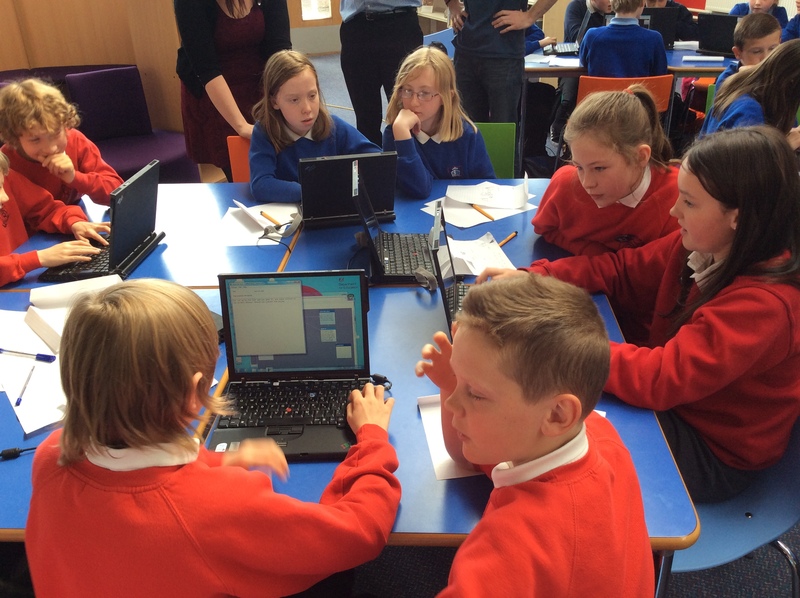 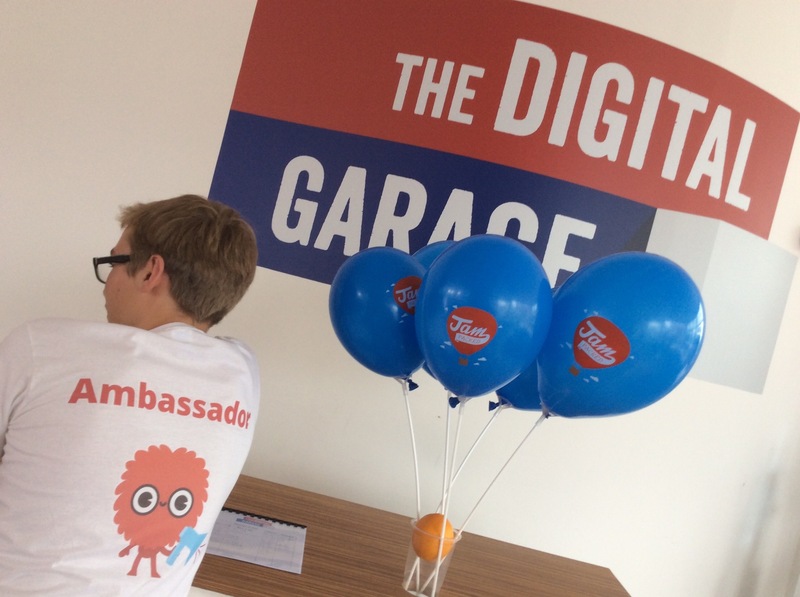 “We joined up with the Jam Packed team to welcome 59 pupils from primary schools across East Lothian for our Hack to the Future Event. 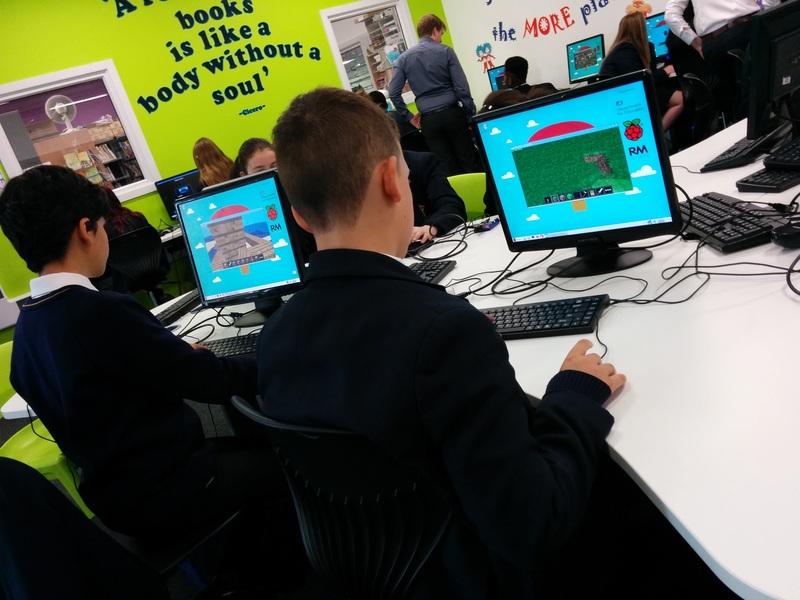 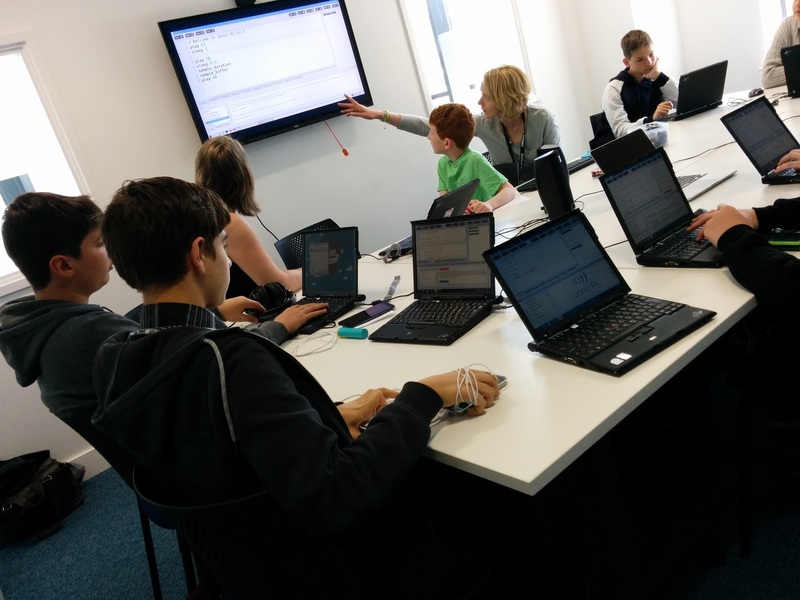 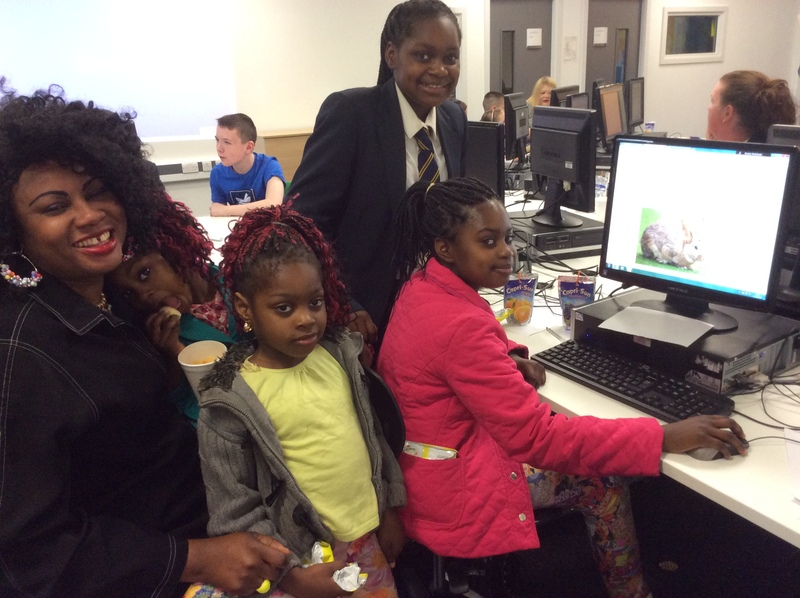 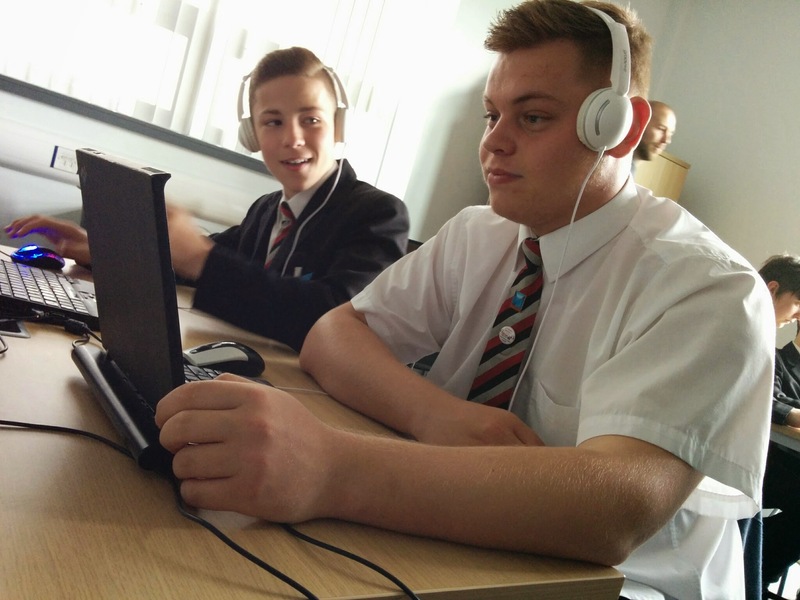 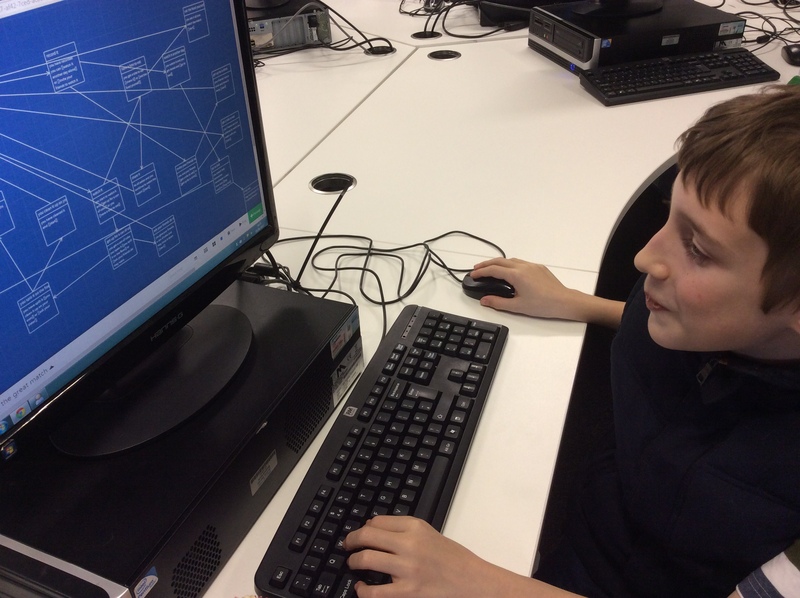 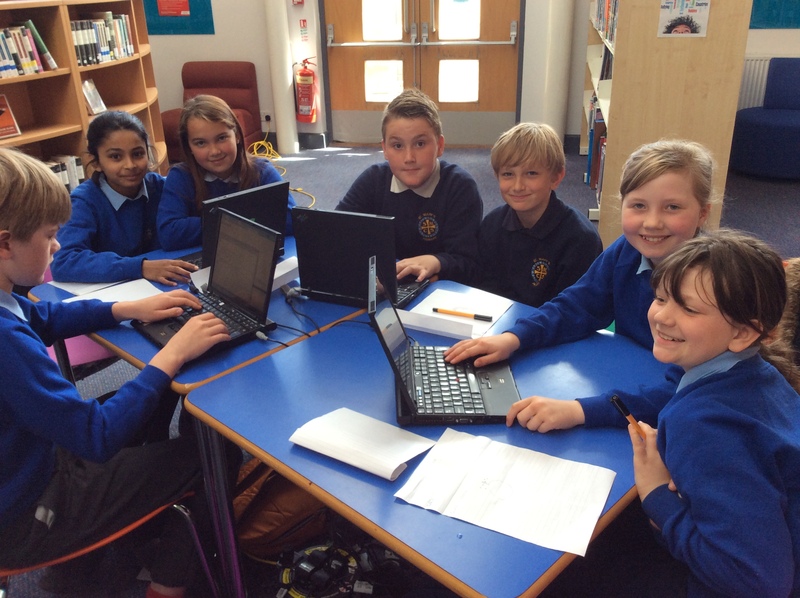 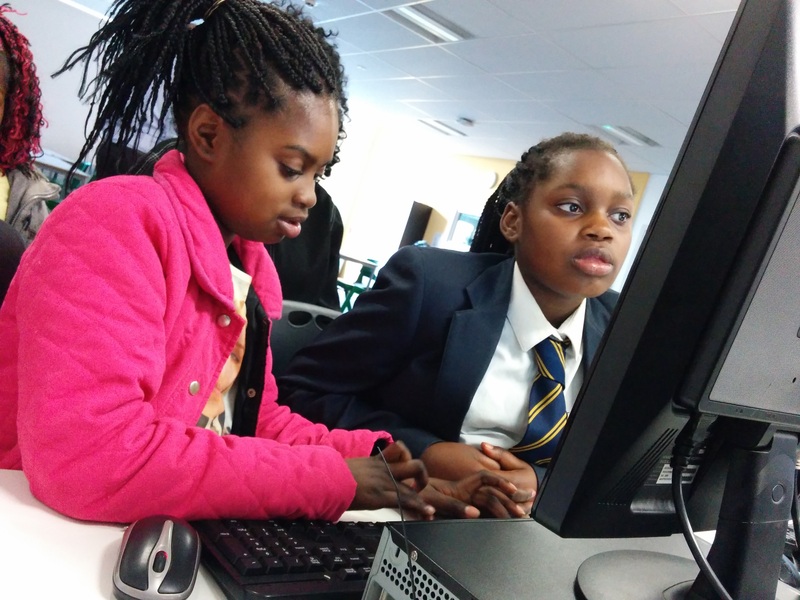 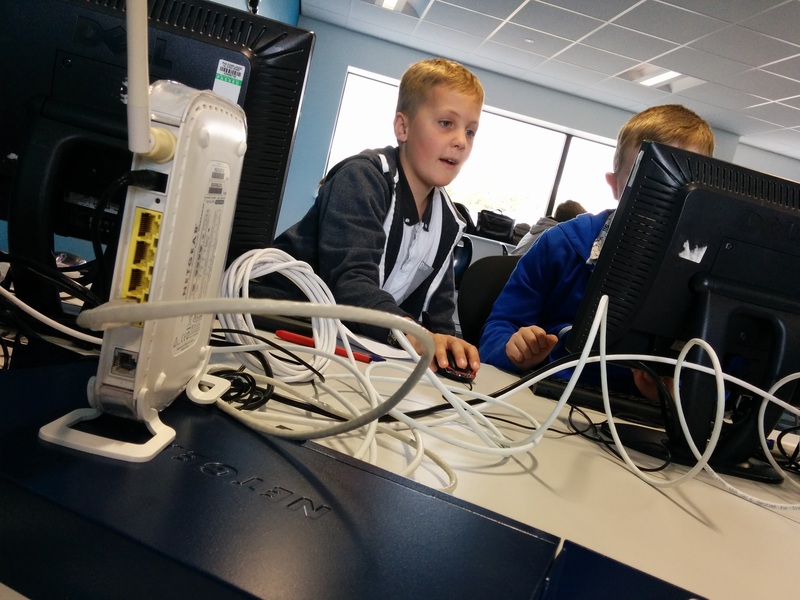 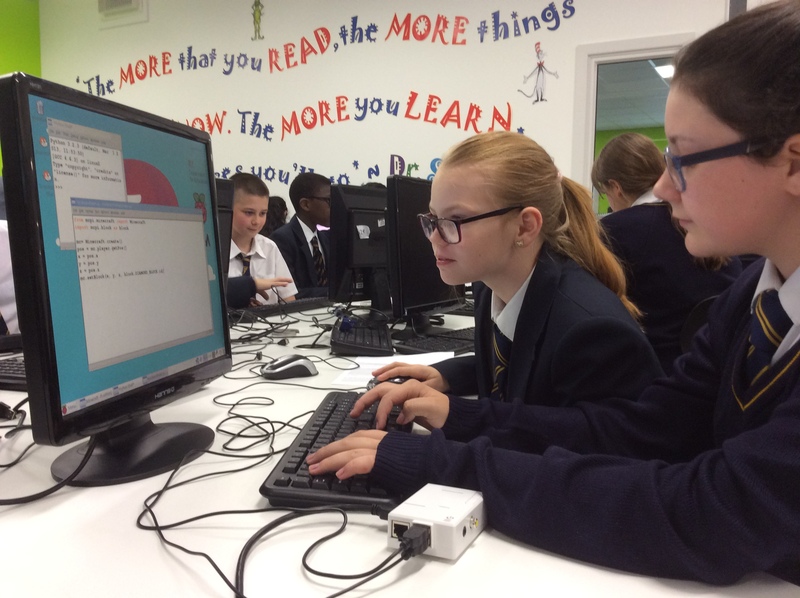 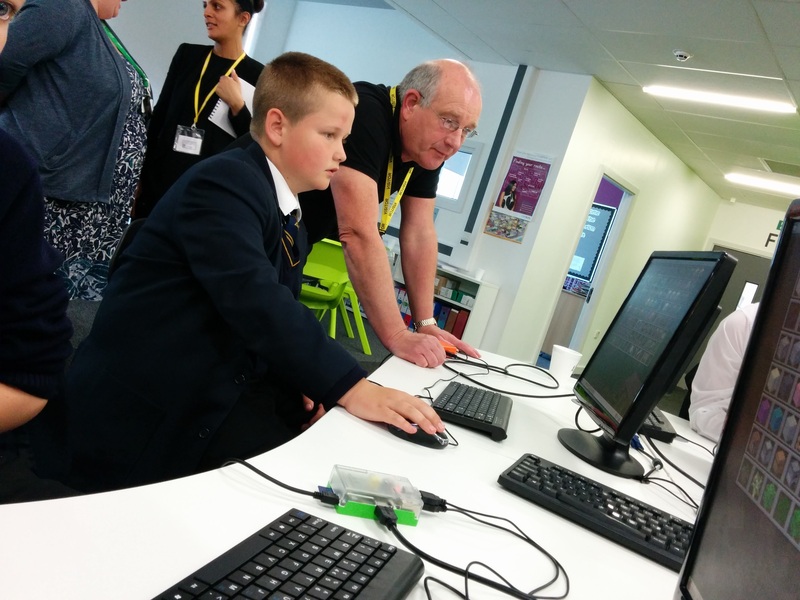 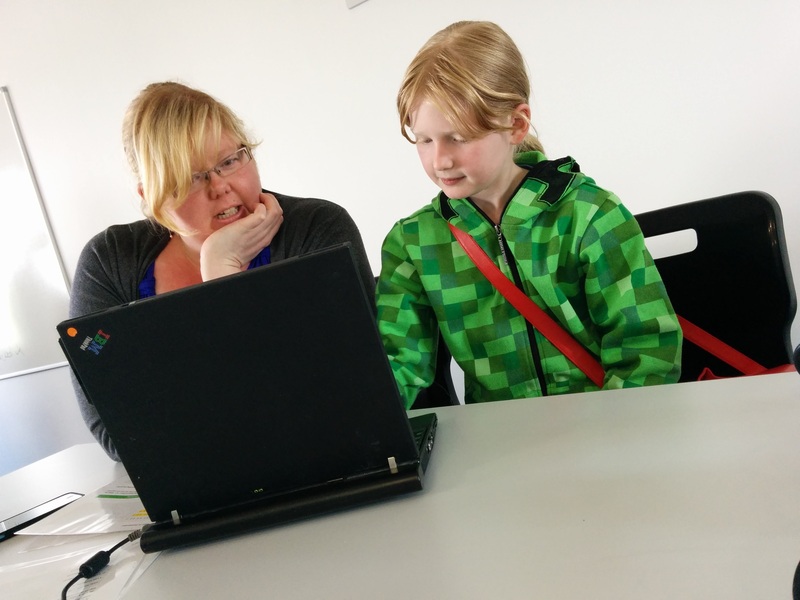 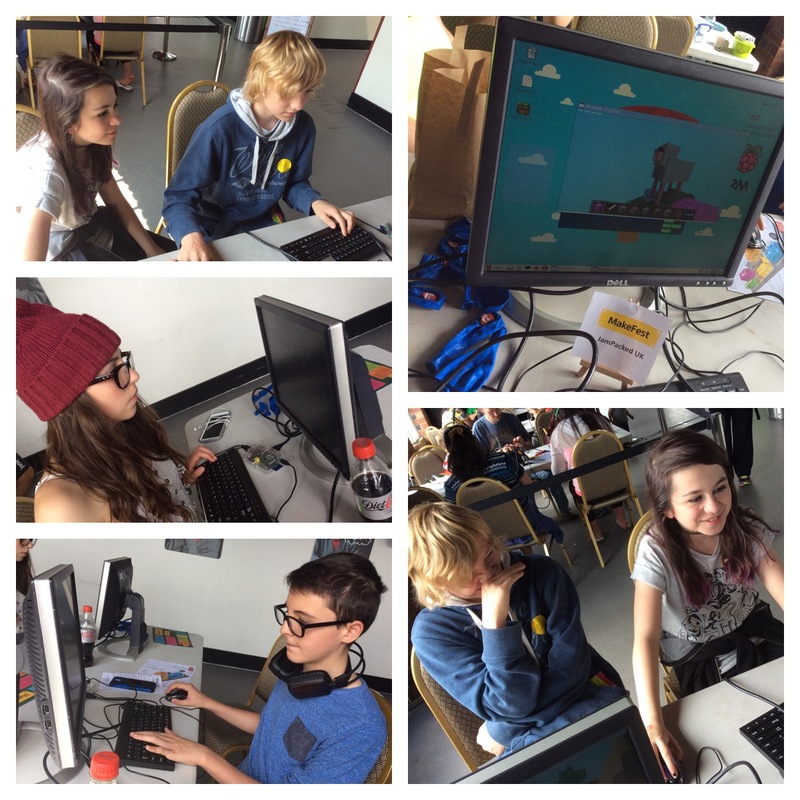 During the morning the pupils got to experience 4 different activities from digital storytelling using Twine, making a plain game in scratch interesting, coding a squirrel using Python and hacking Minecraft on the Raspberry Pi. 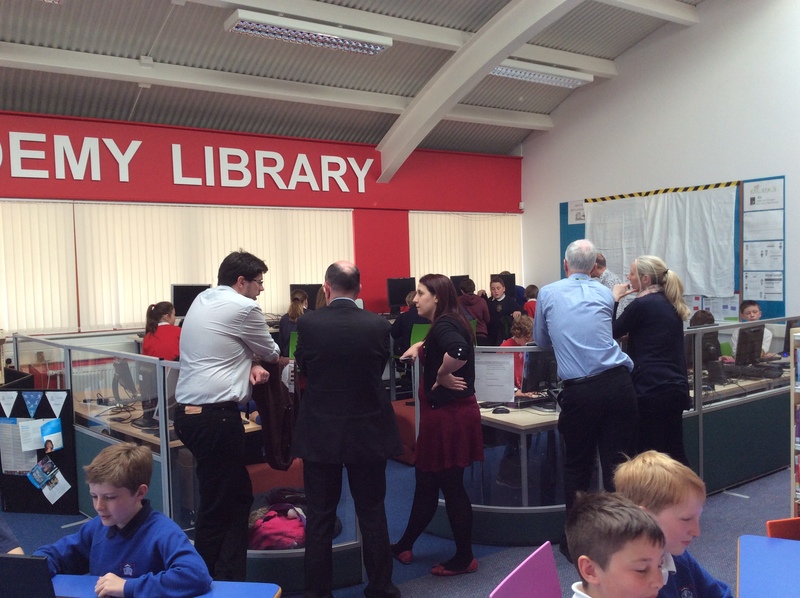 All pupils spoke positivly of the event.” Andy McSwan. 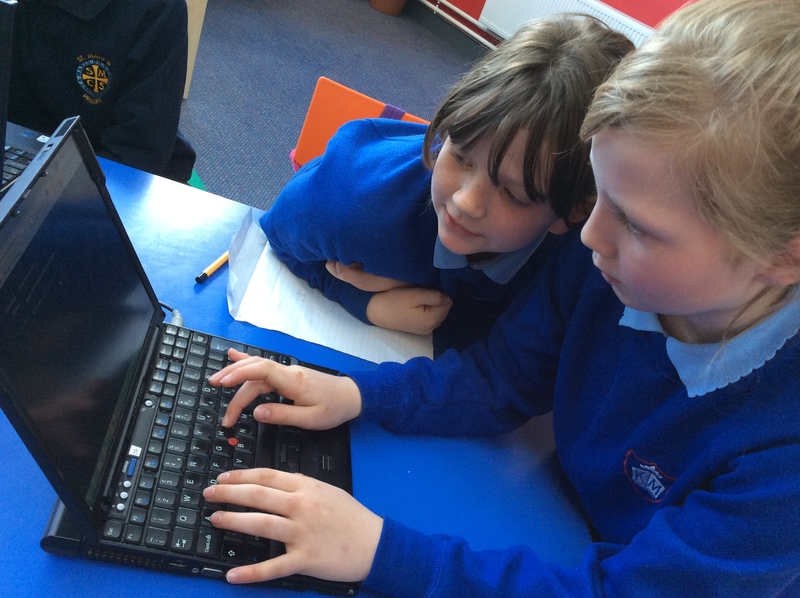 The children became involved in 3 workshops as teachers used the opportunities through ‘pedagogy in practice’ to plan, reflect and extend their own networks. 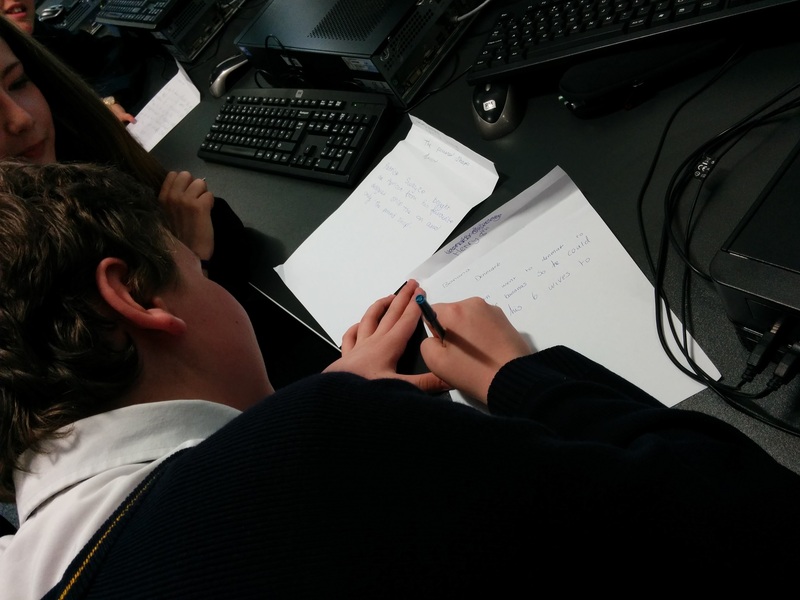 Ideas shared between primary and secondary schools, not just transitional projects, built on existing and new partner activities. 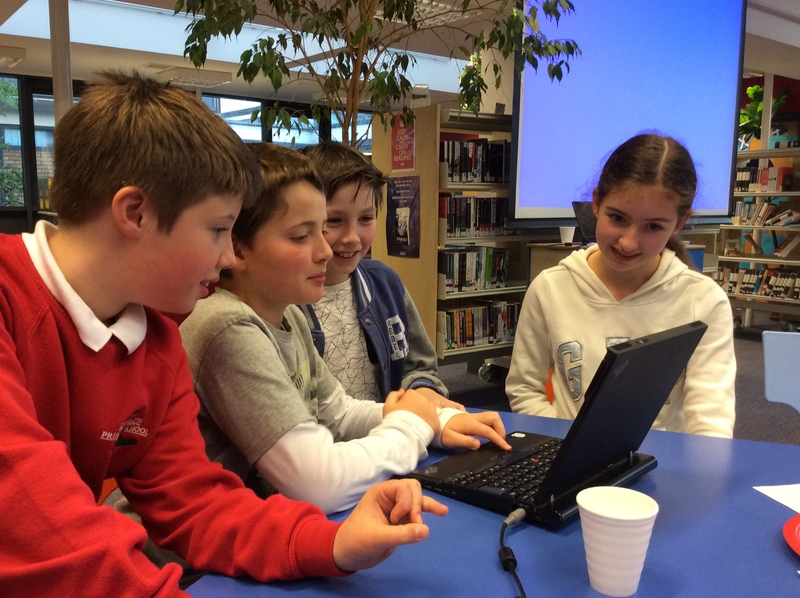 The digital creators very quickly became accomplished ‘drivers and navigators’ as they shared challenges to collaborate on gaming projects, and used peer review techniques to improve their work. 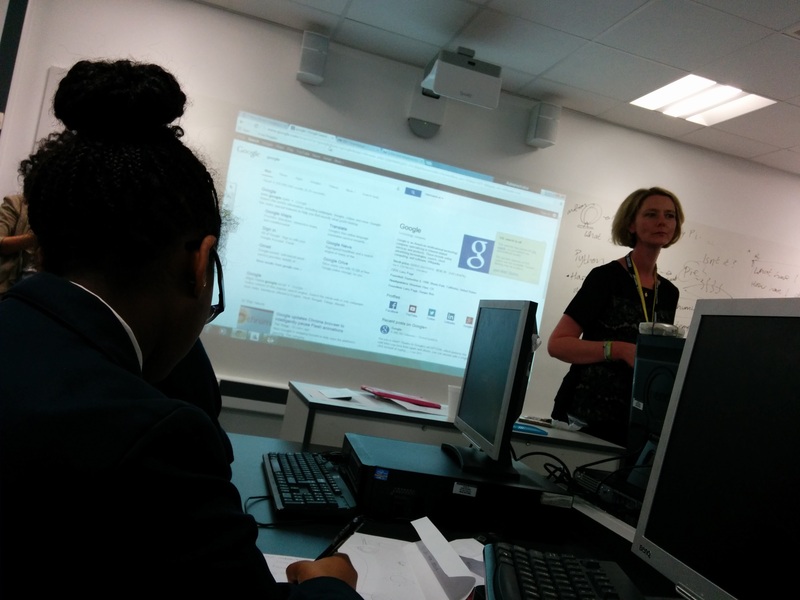 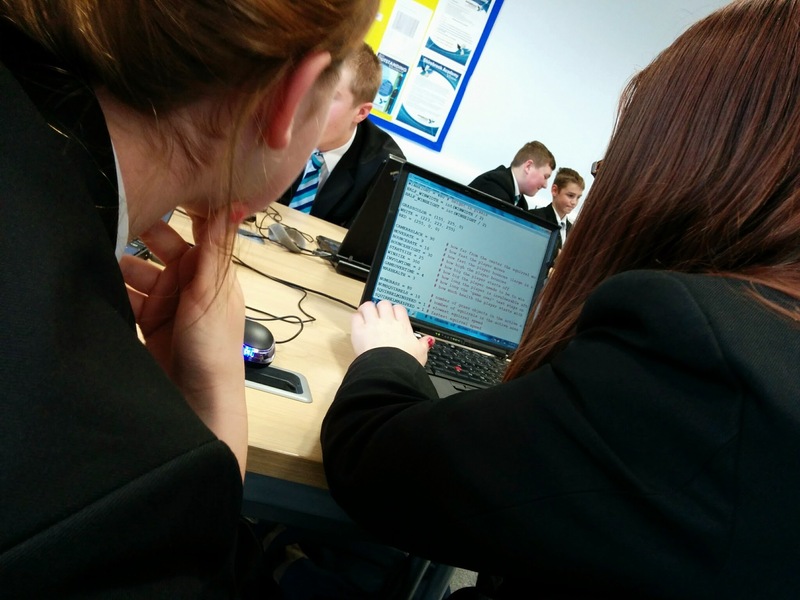 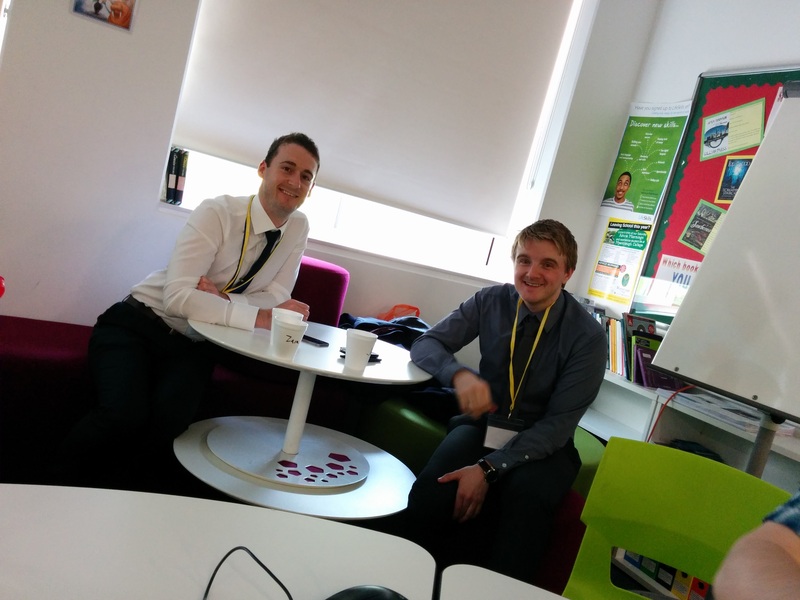 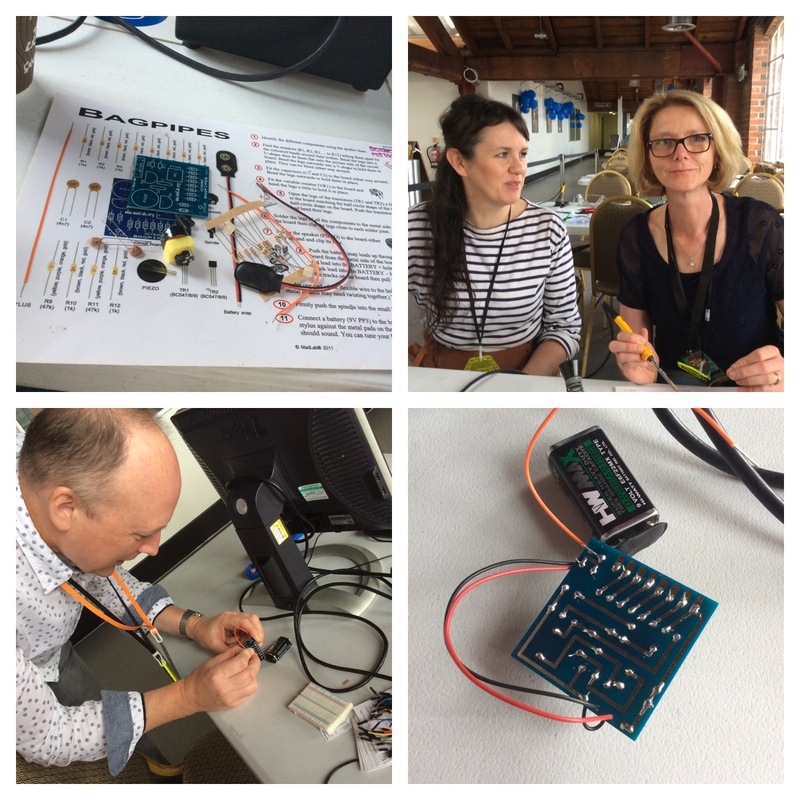 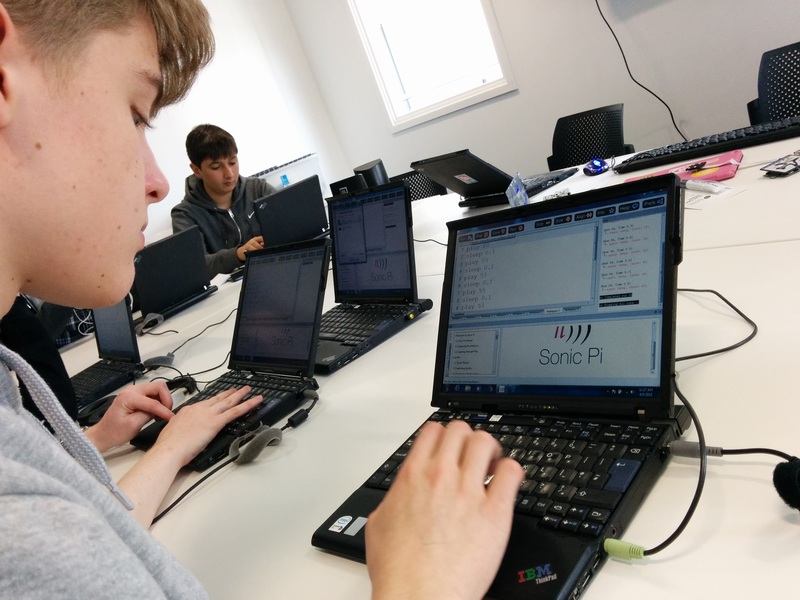 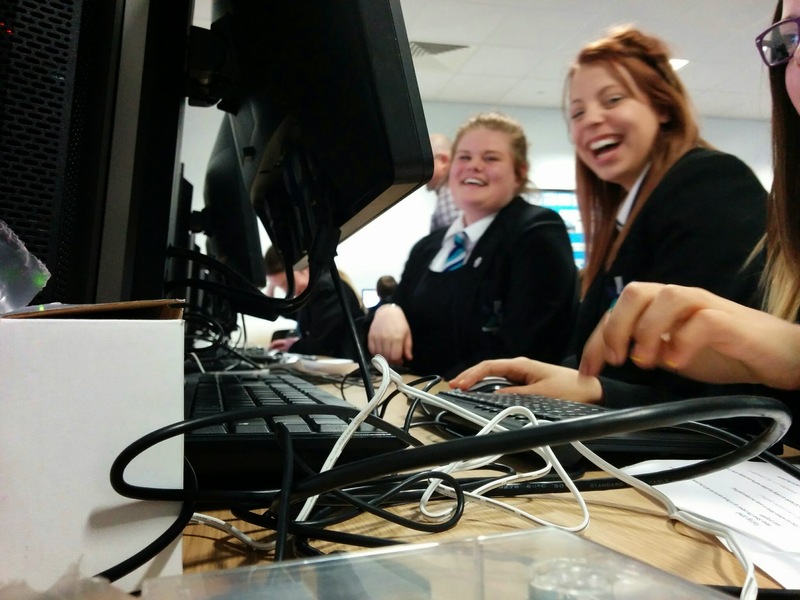 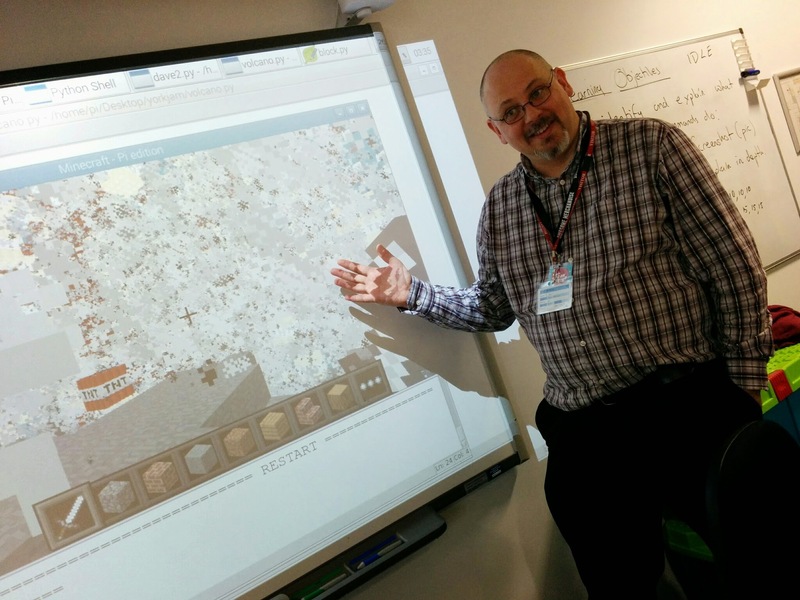 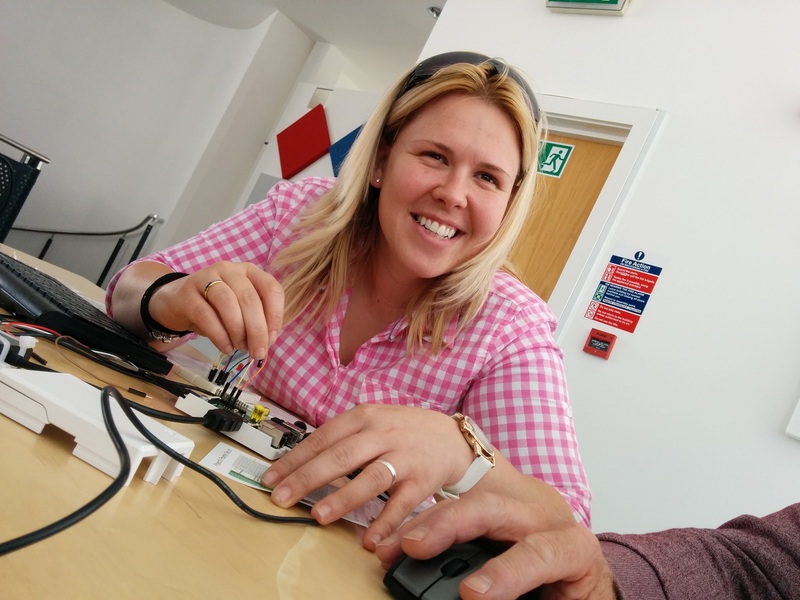 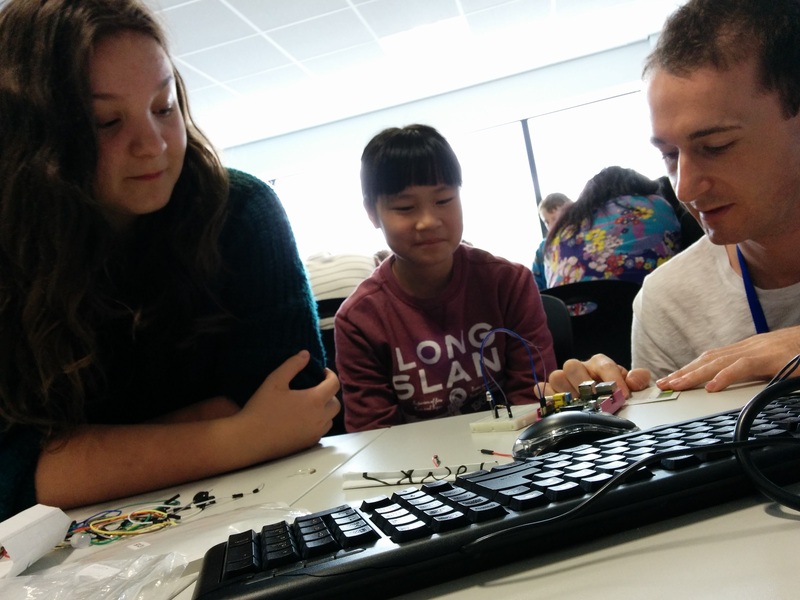 Using ‘Sabotage‘ as a tool to debug their projects proved popular to all and particularly to teachers citing multiple variations on the theme to take forward. 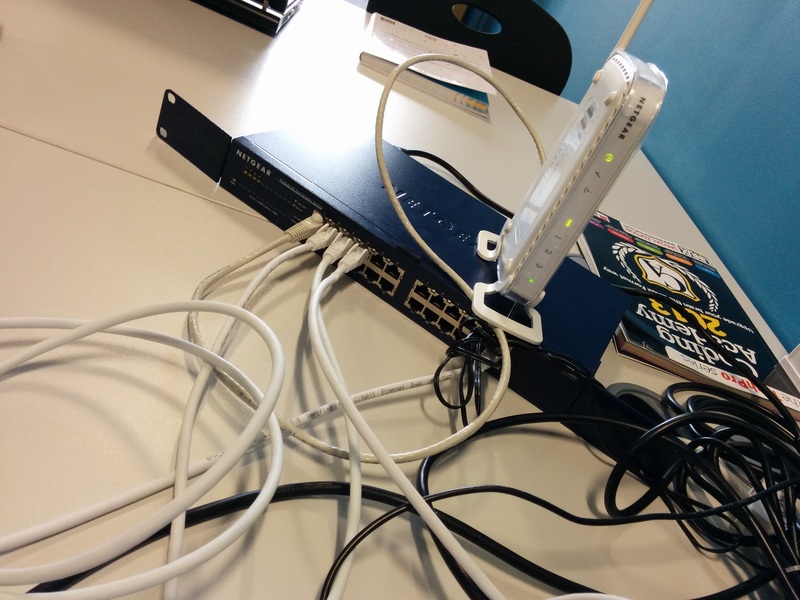 Hack for good? 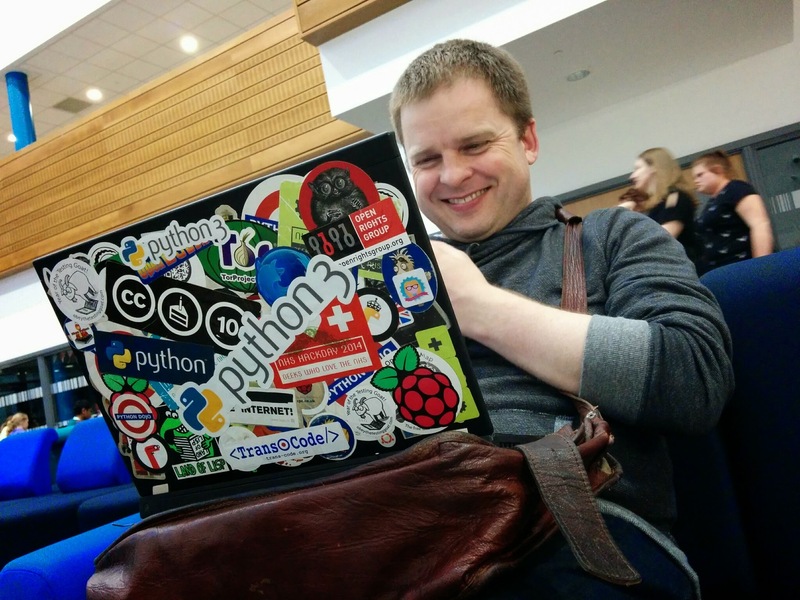 Hack for mischief? 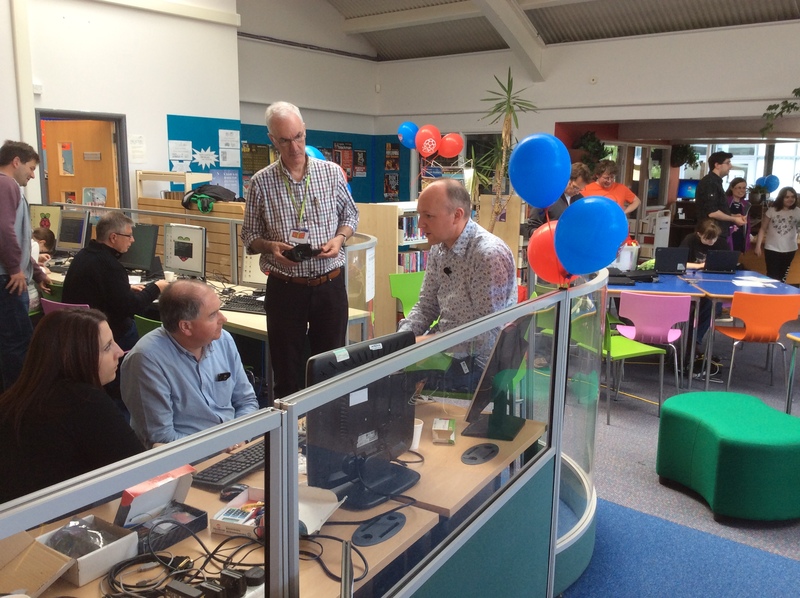 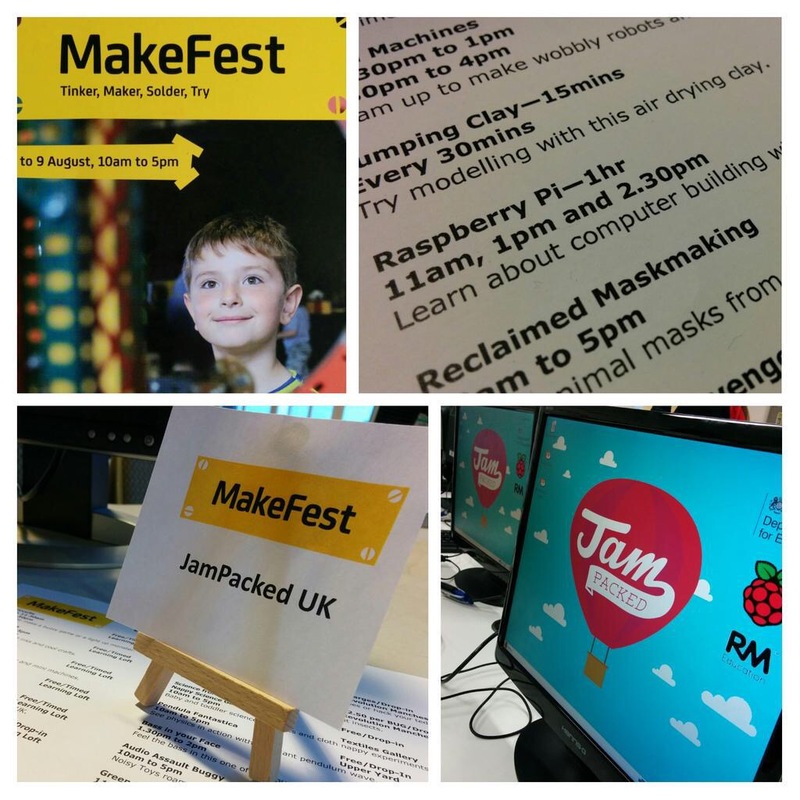 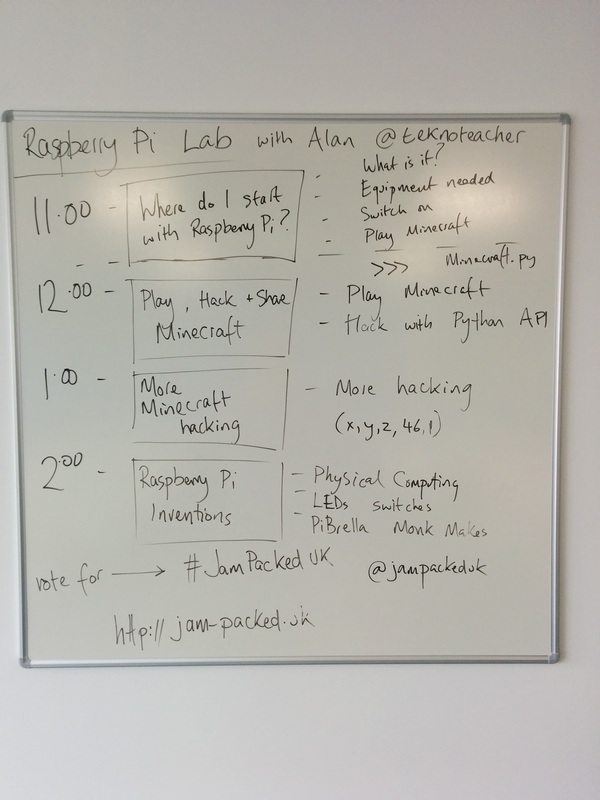 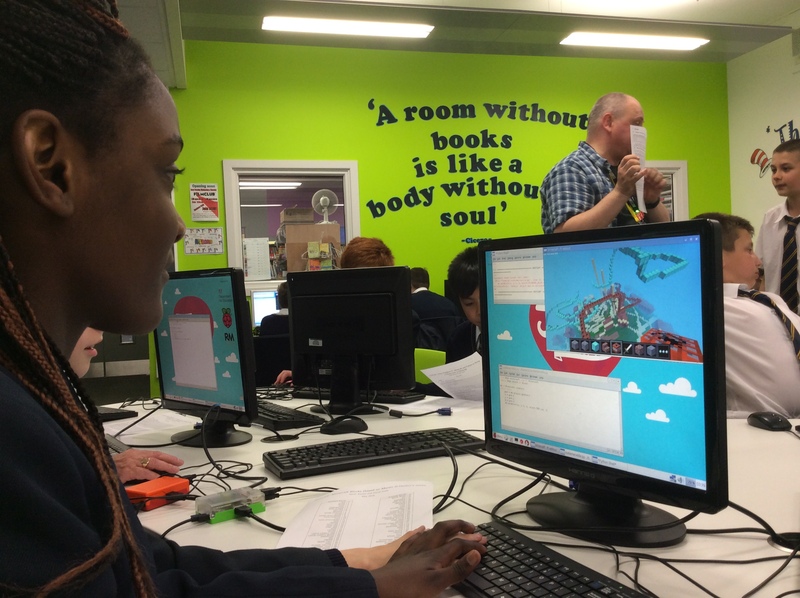 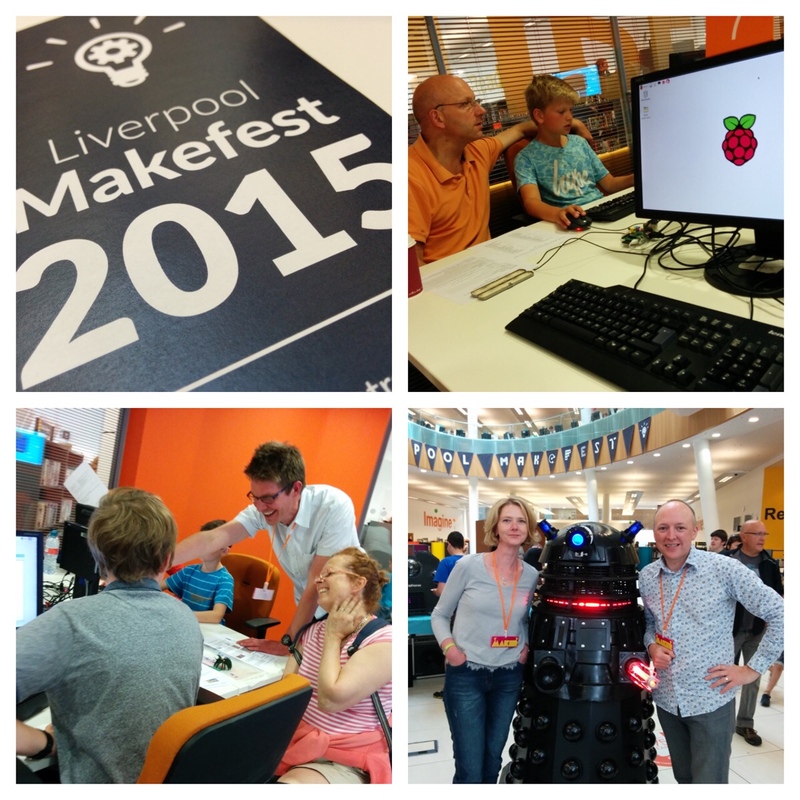 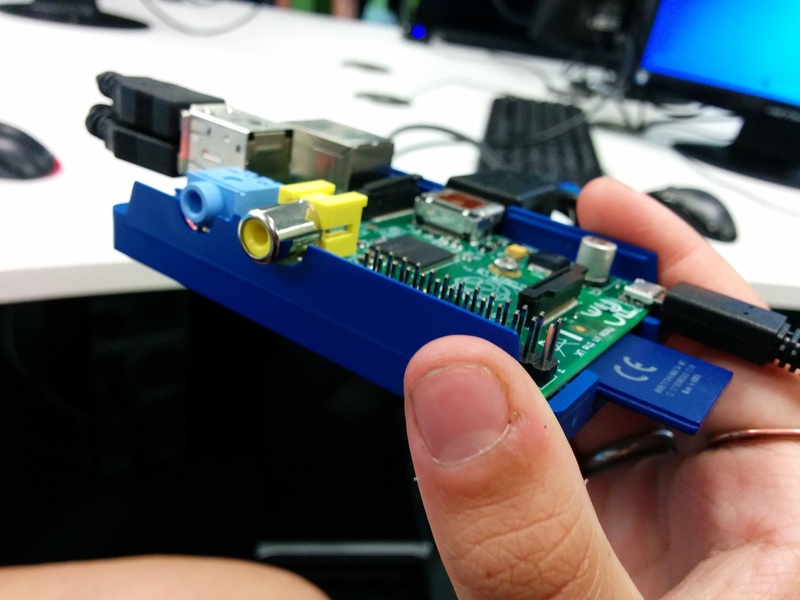 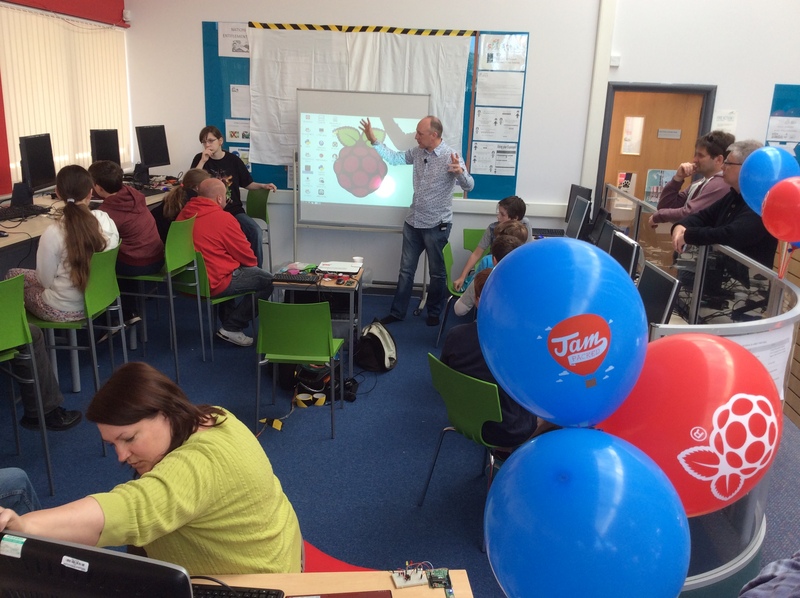 The carousel of activities were based around a Raspberry Pi classroom and Gaming Lab in the school’s library which gave us the flexibility to share ideas throughout the day. 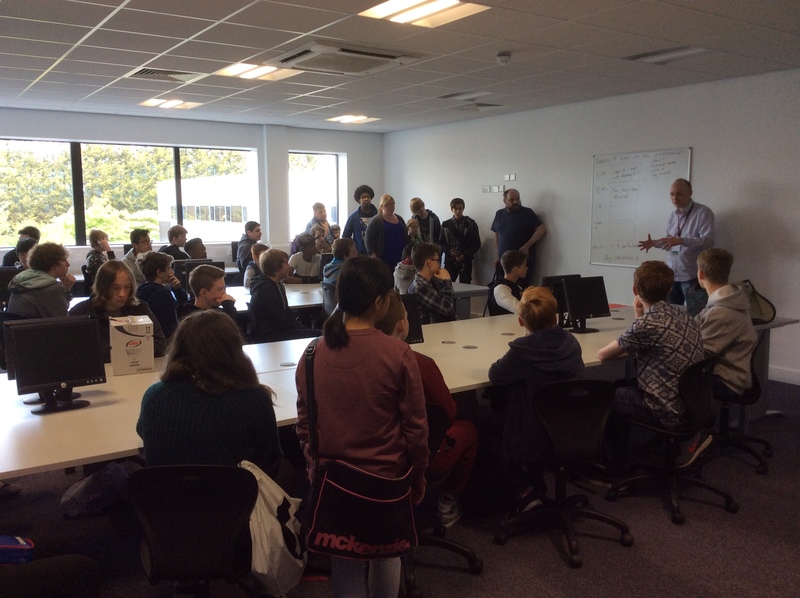 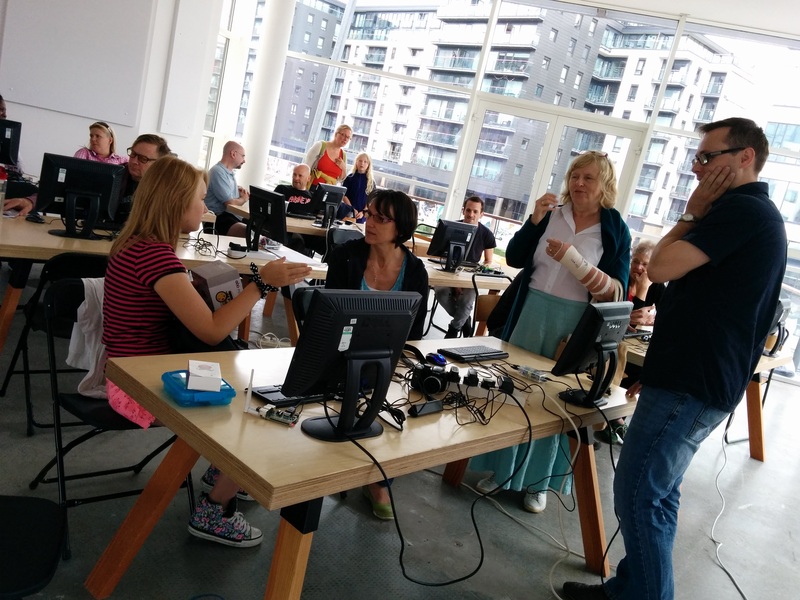 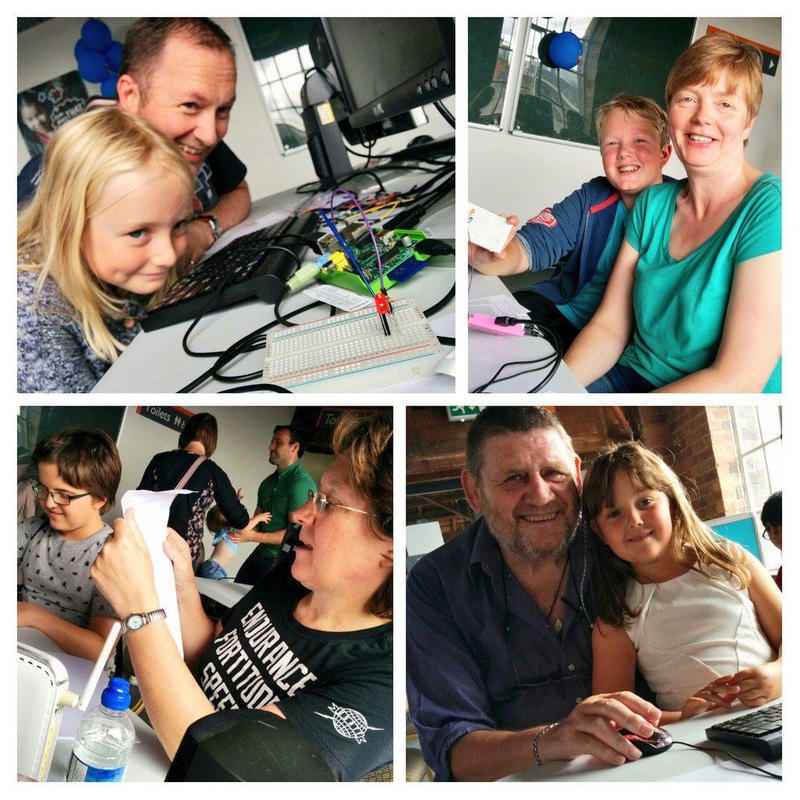 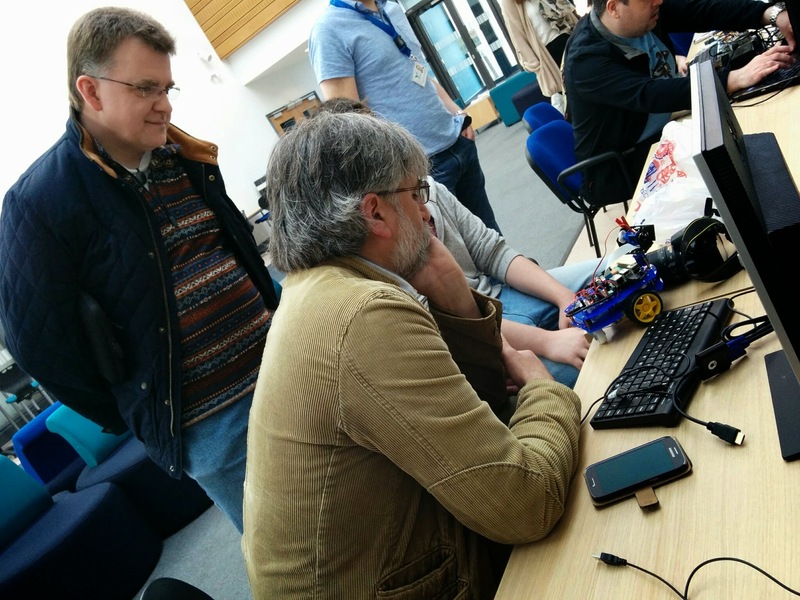 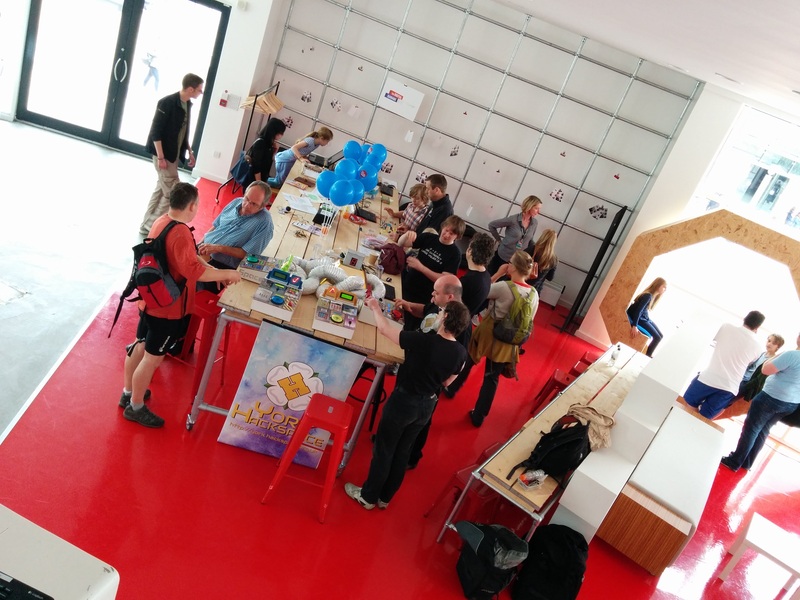 As always with Jam Packed we were thrilled to have software developers and specialists from industry to join us throughout the weekend and to bring their expertise and enthusiasm to the children’s projects. 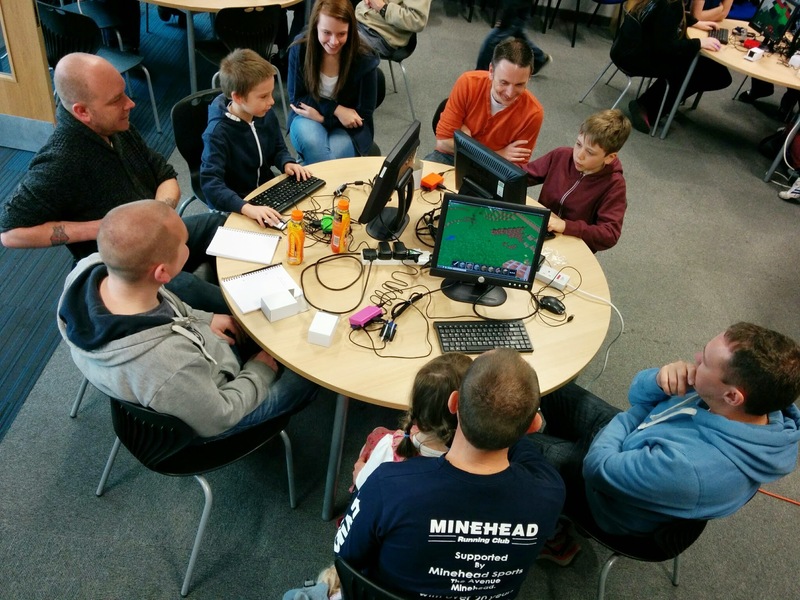 Collaborations with industry gaming developers. 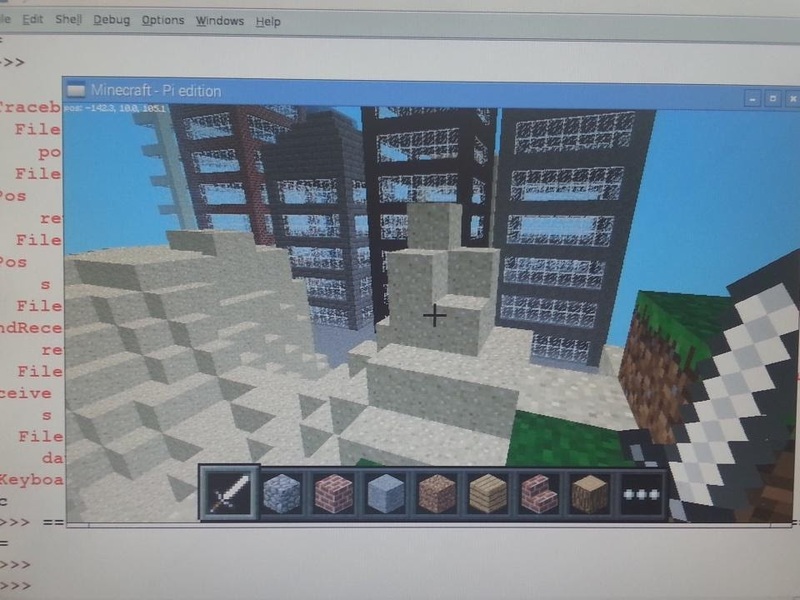 Minecraft anybody? 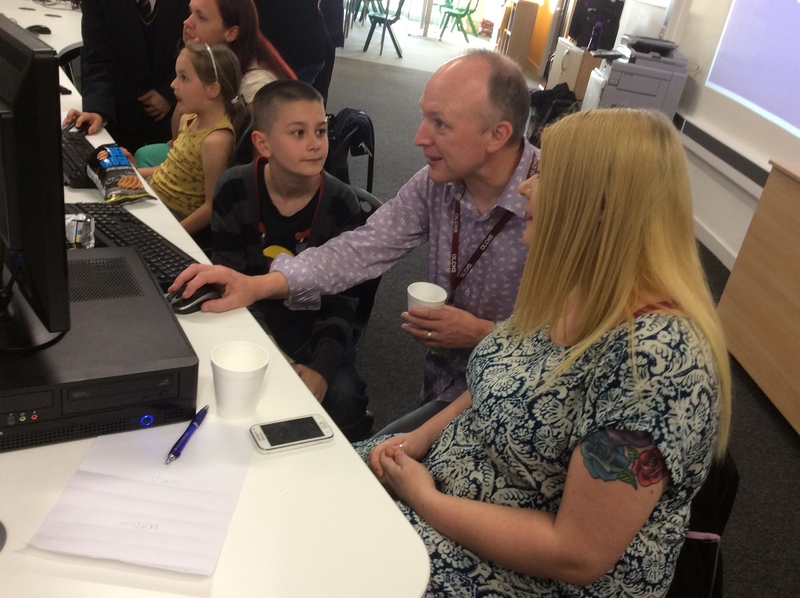 Families, friends, and a newly formed Dad’s team worked together to produce their collaborations using either Twine to create an interactive fiction piece or Scratch to produce a game. 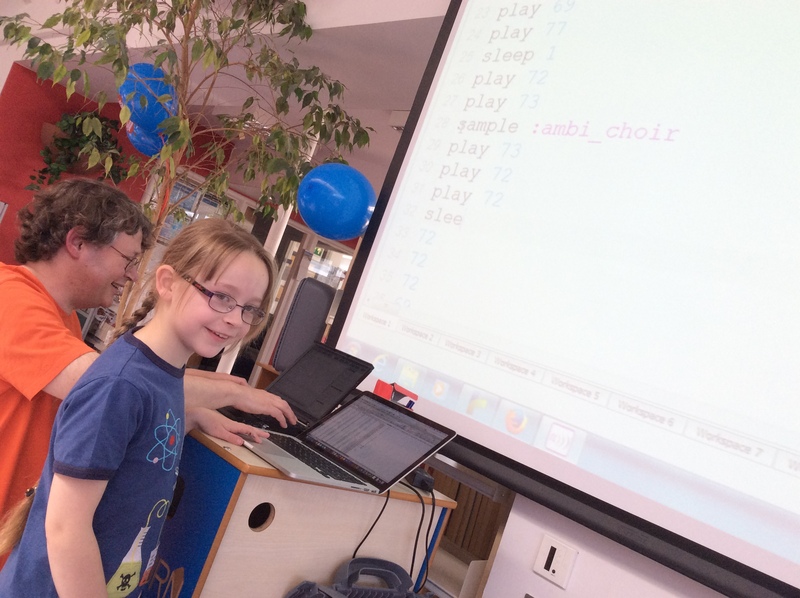 Again, the younger generation were instrumental in sharing their experiences and talents as robotics and data projects though music were shared and which inspired all. 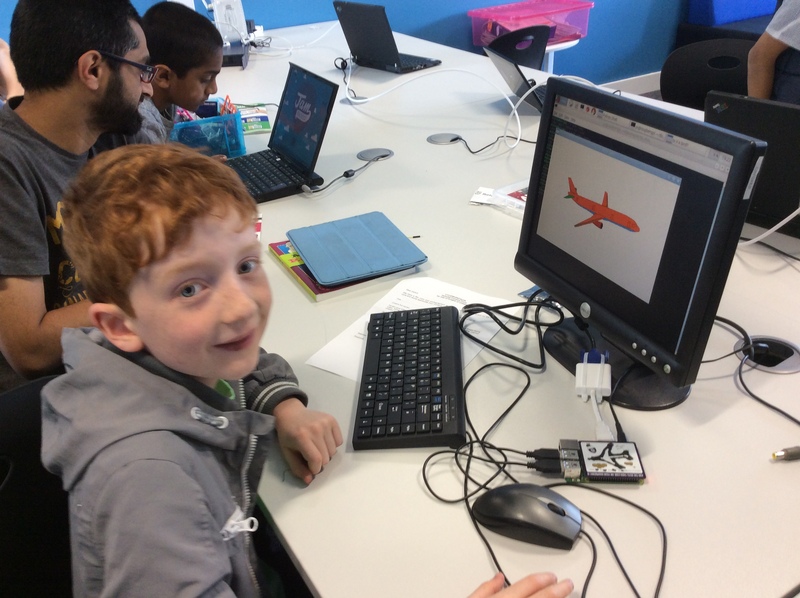 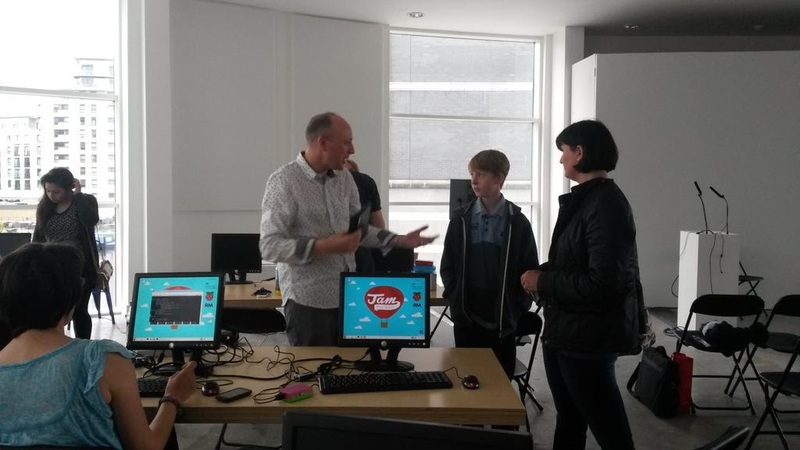 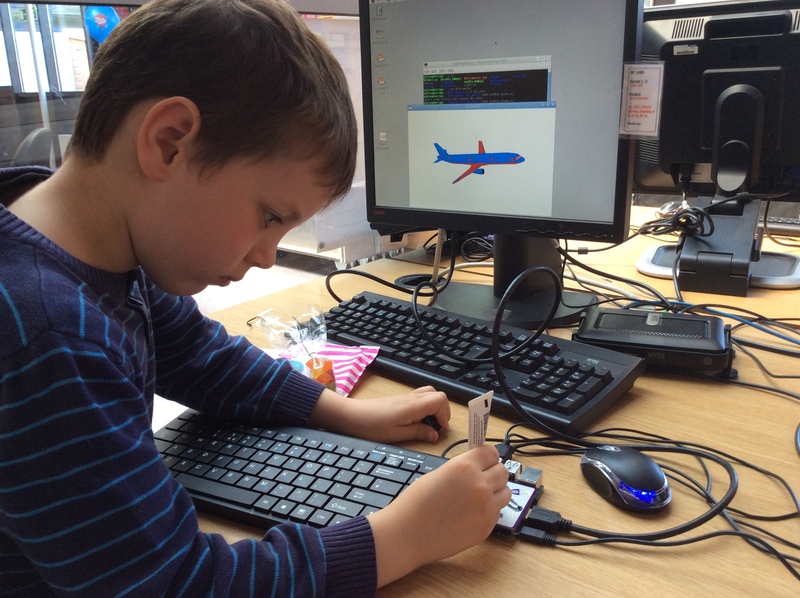 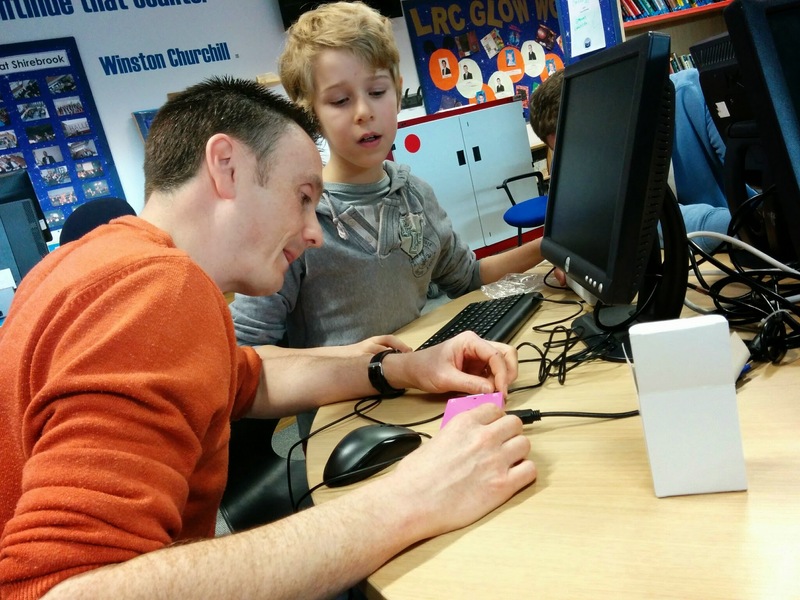 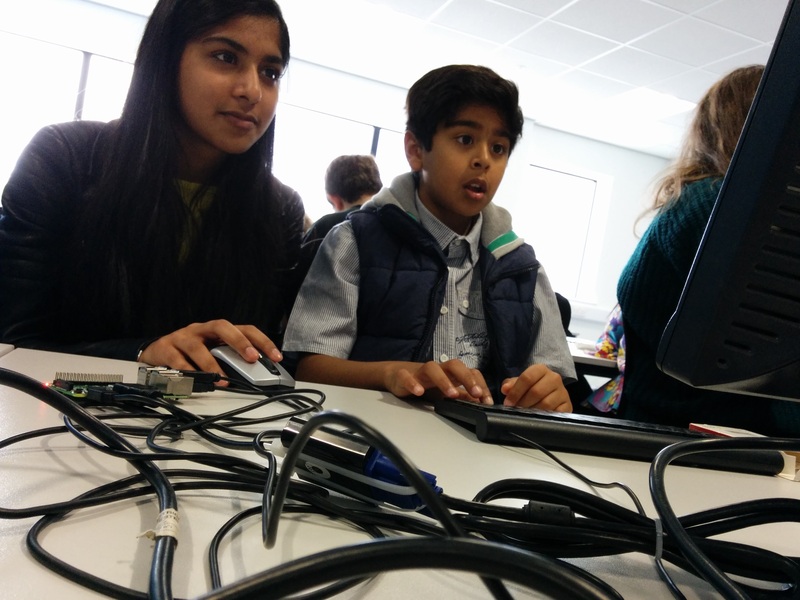 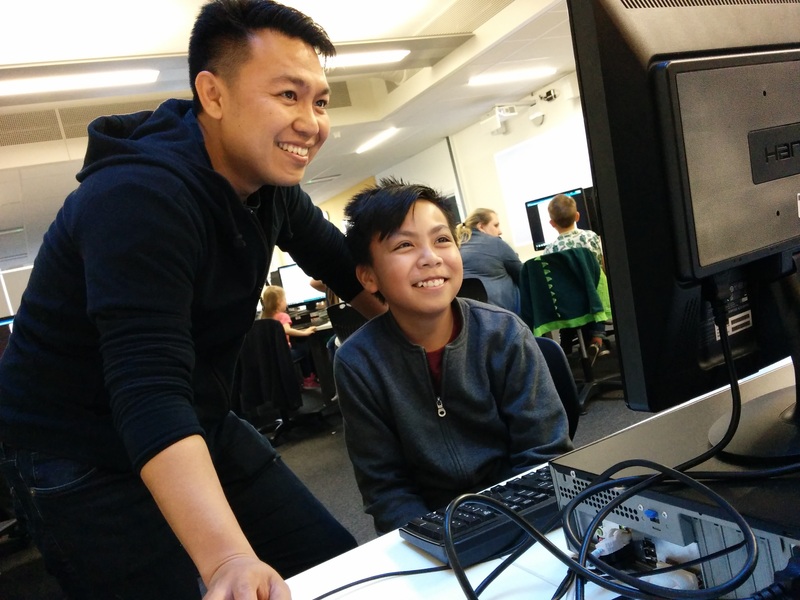 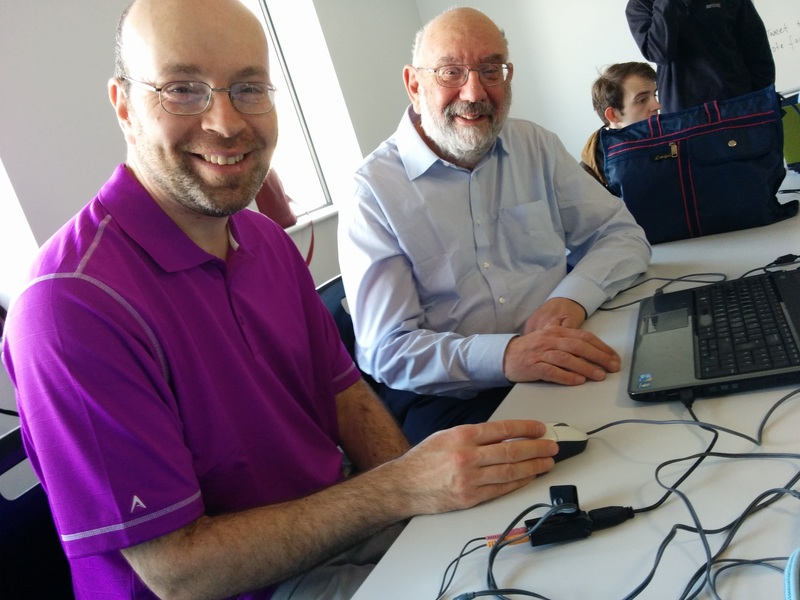 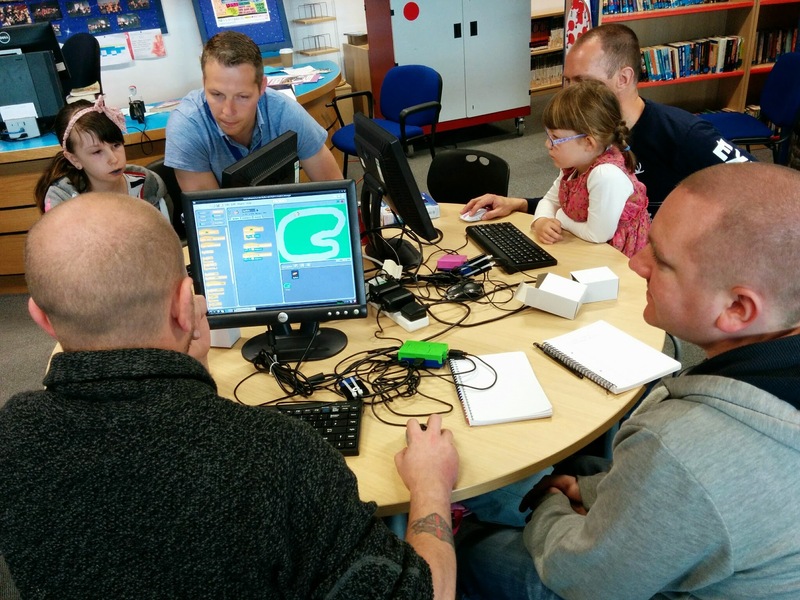 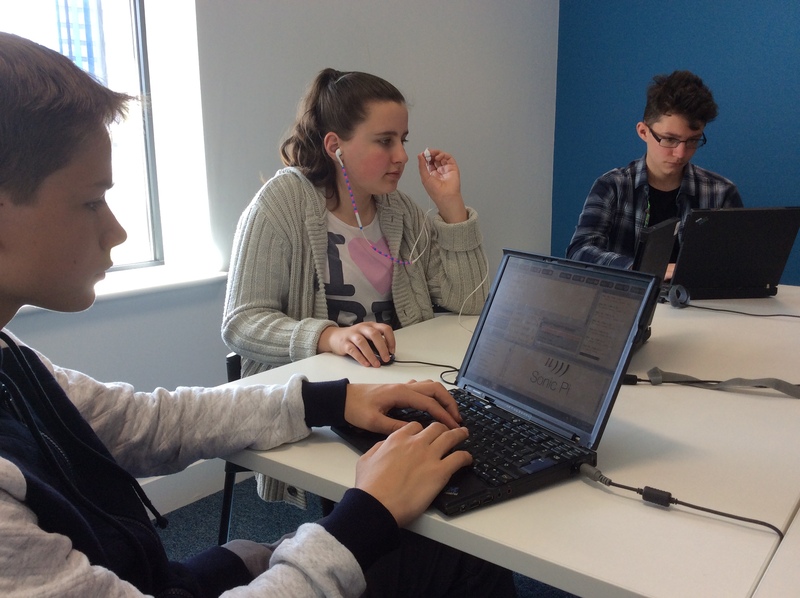 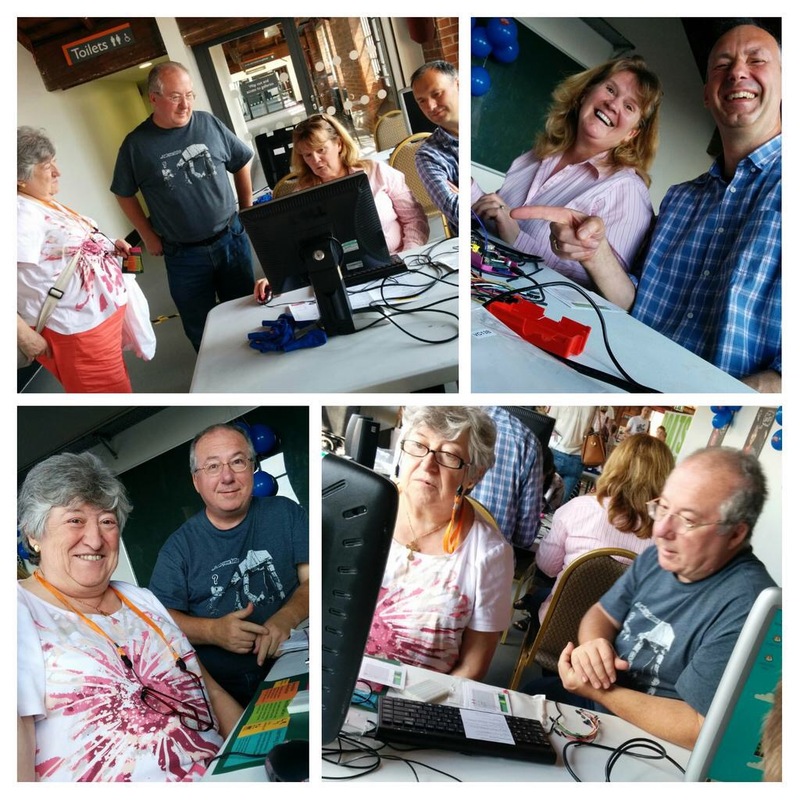 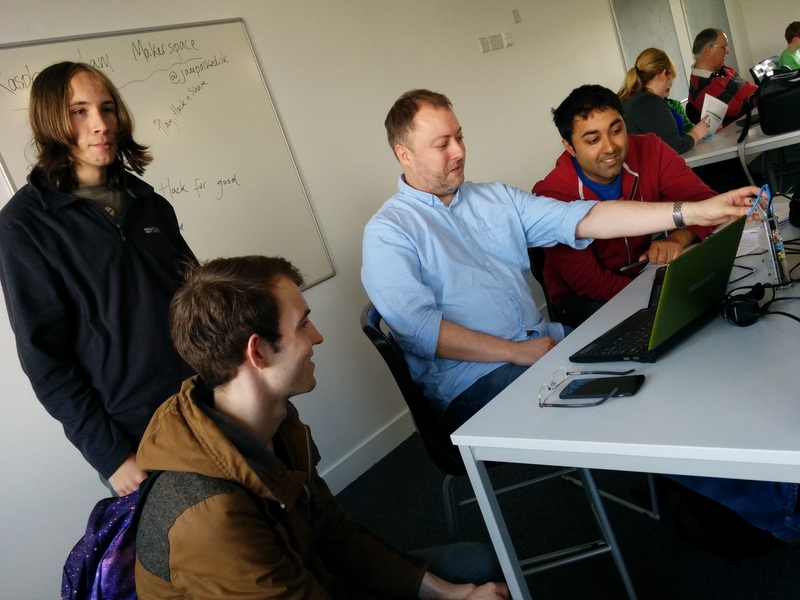 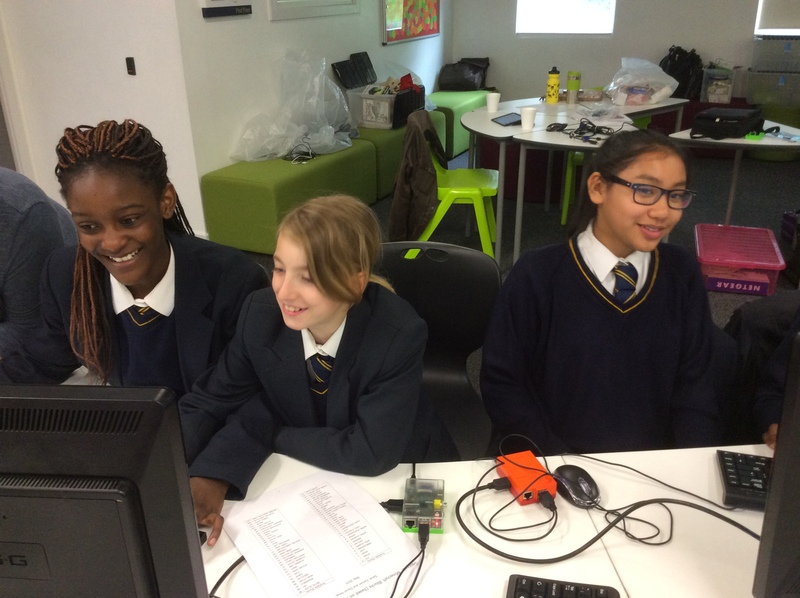 We introduced some visitors to programming for the first time using Python and took the Pygames and Raspberry Pi Dots boards tools to create shared projects. 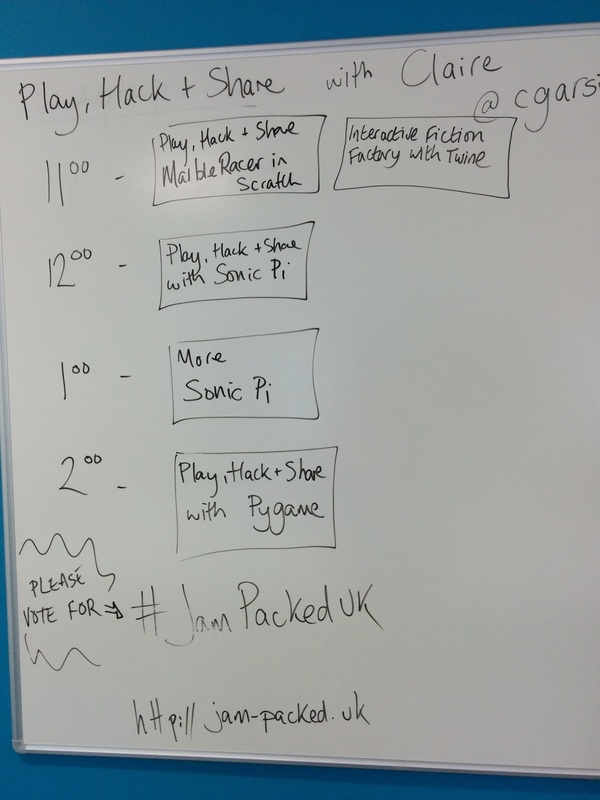 Jam Packed UK’s Photo Gallery link.